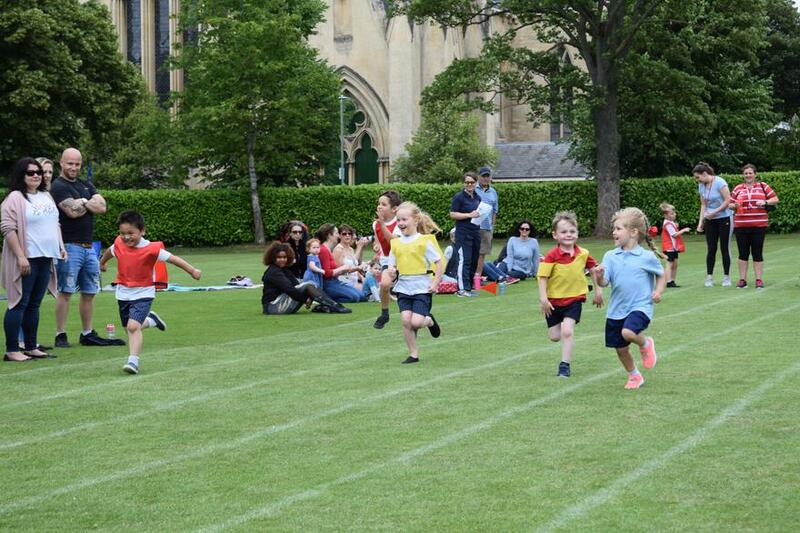 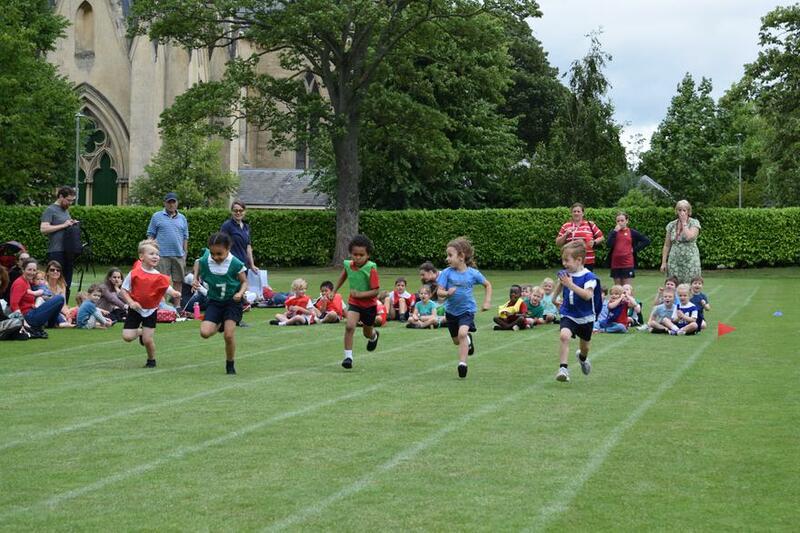 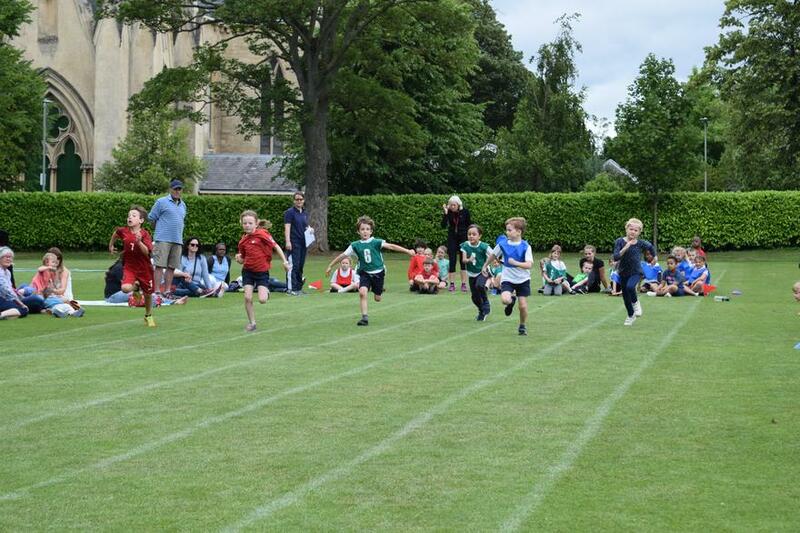 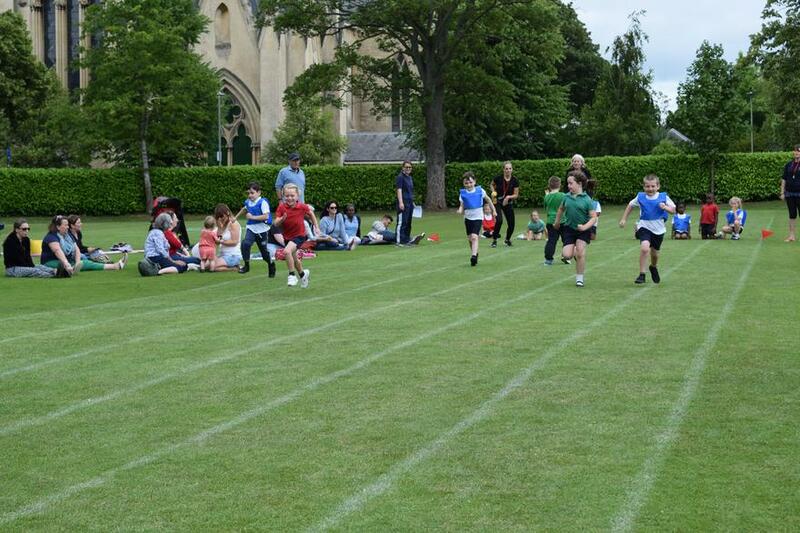 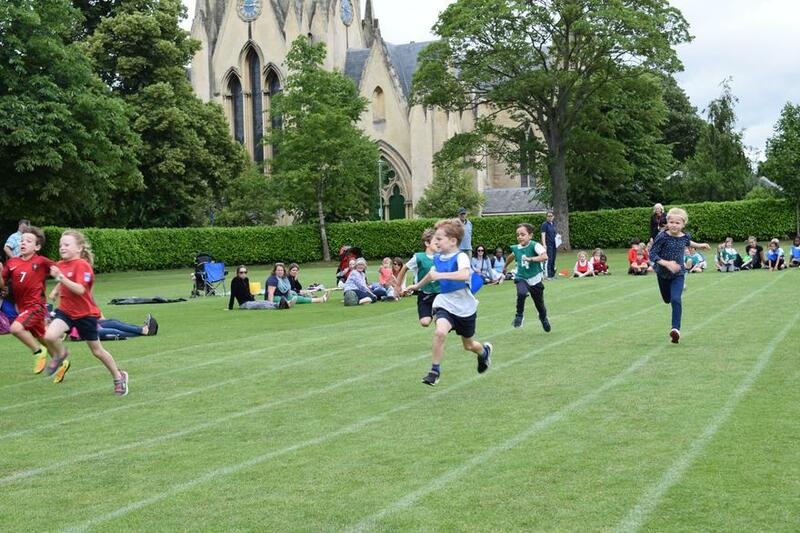 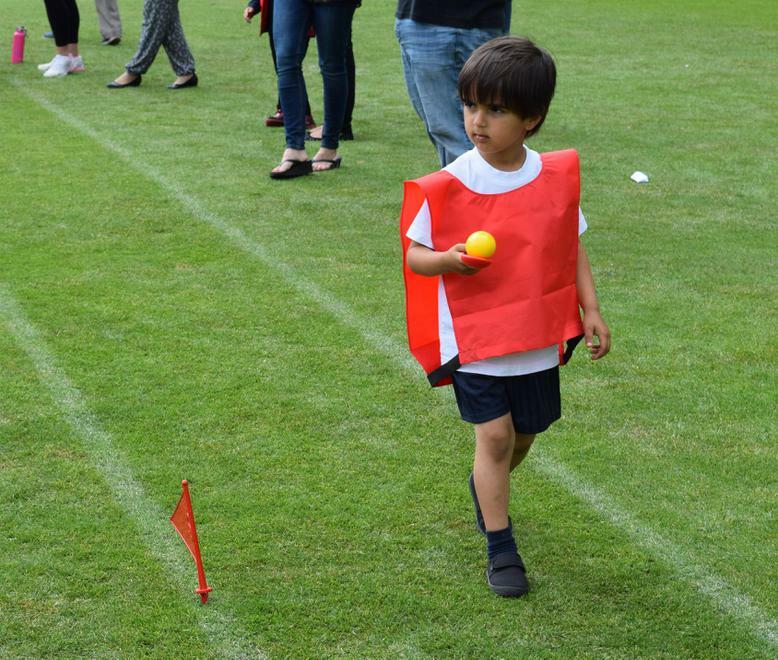 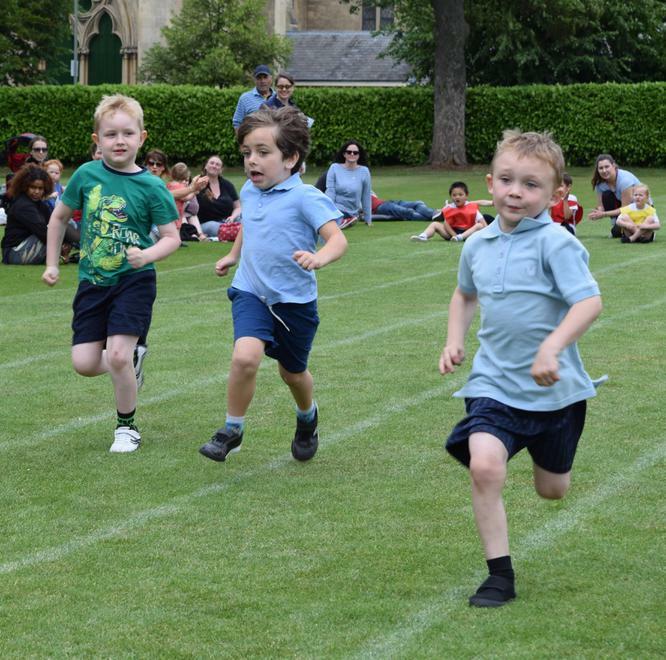 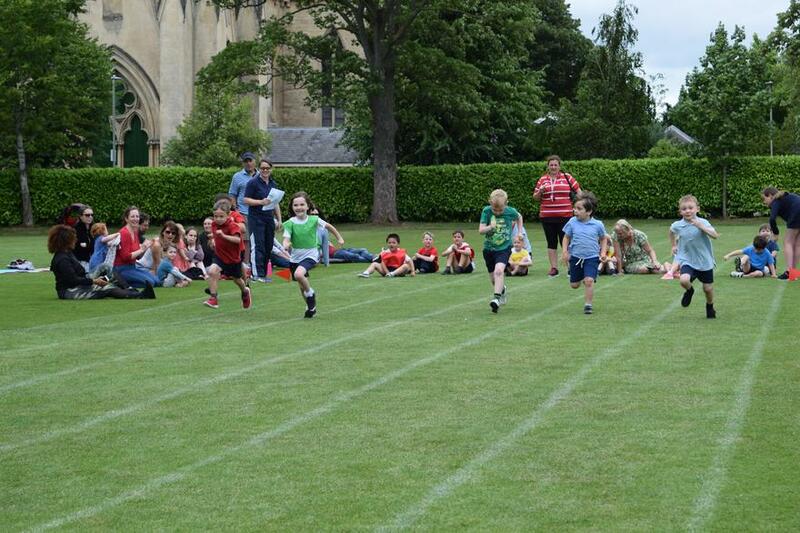 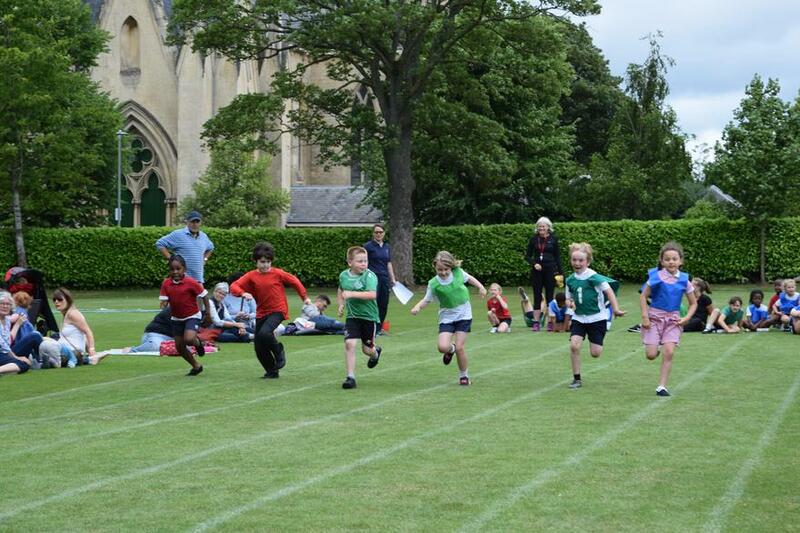 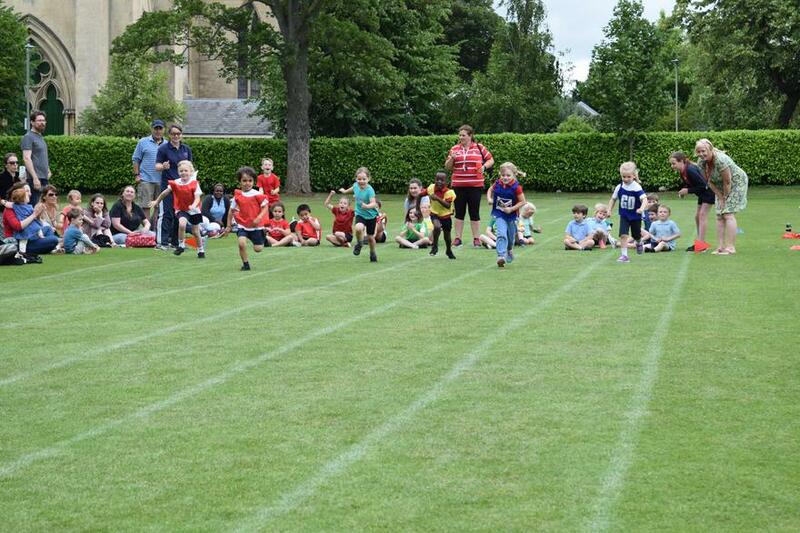 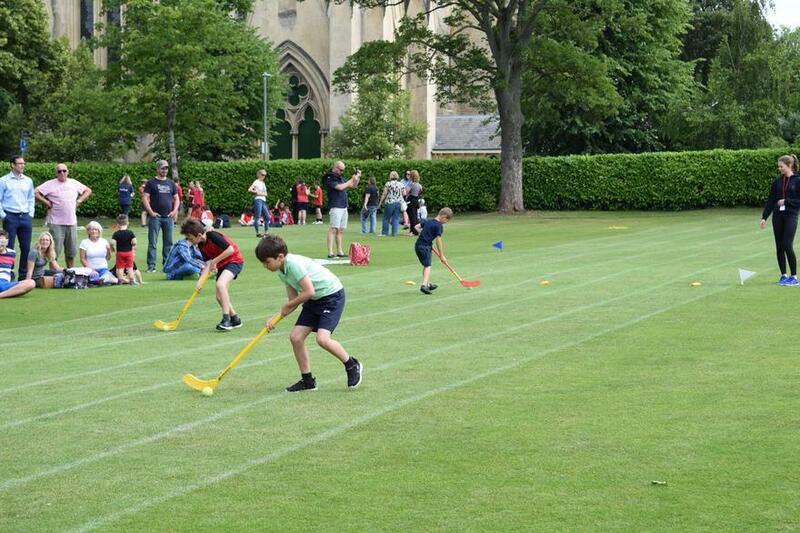 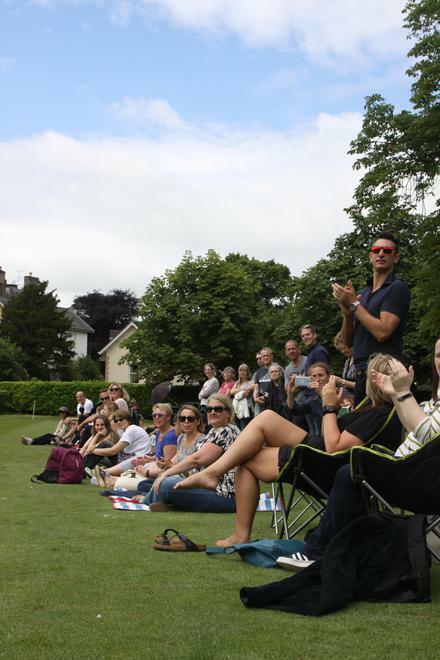 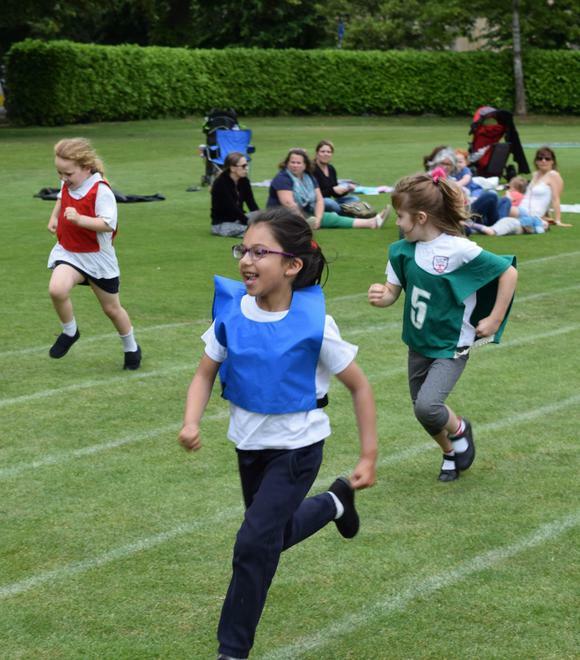 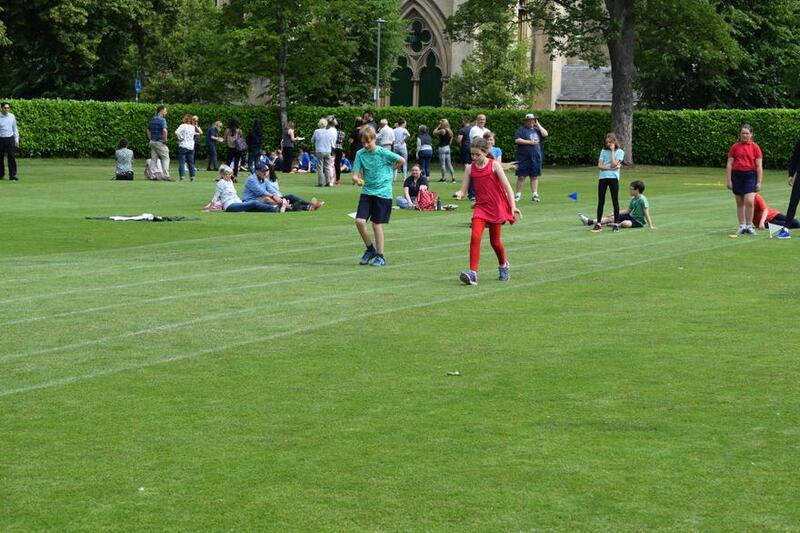 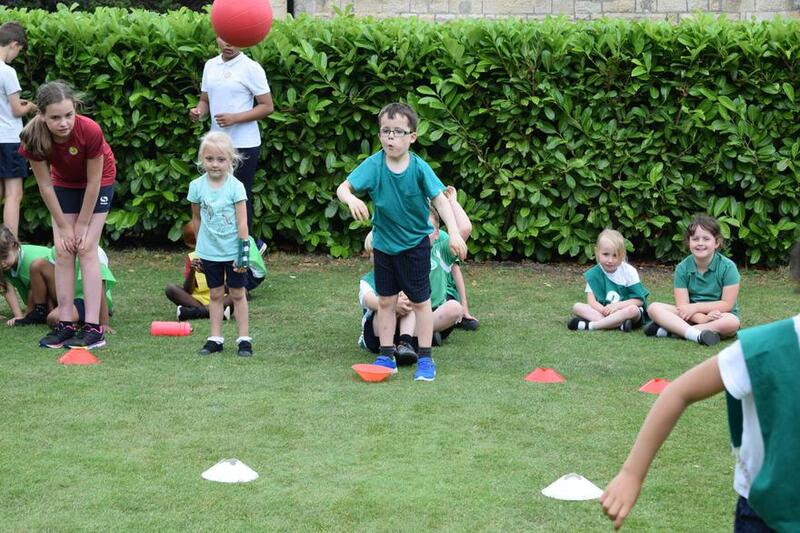 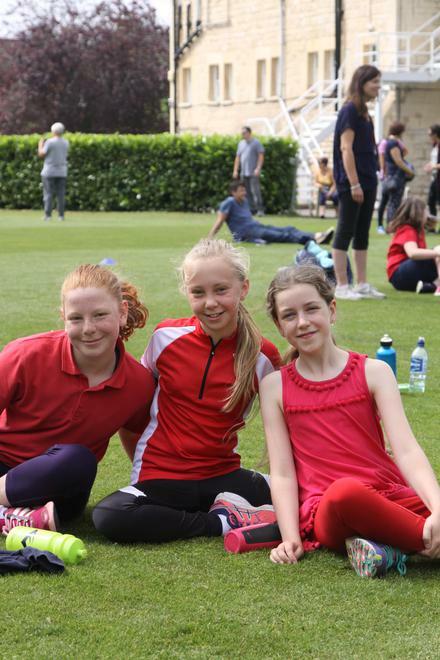 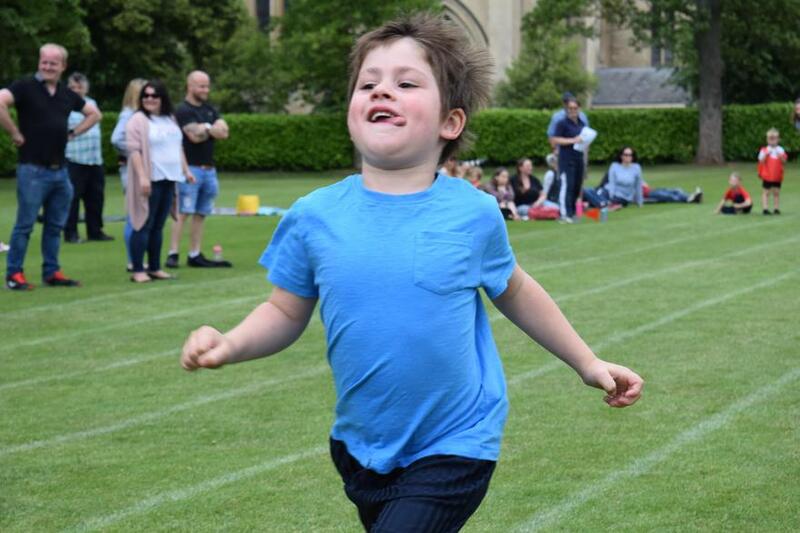 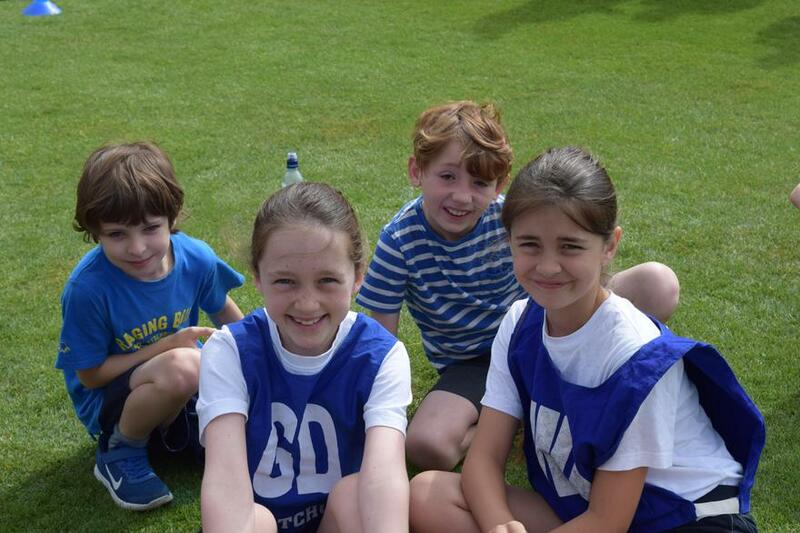 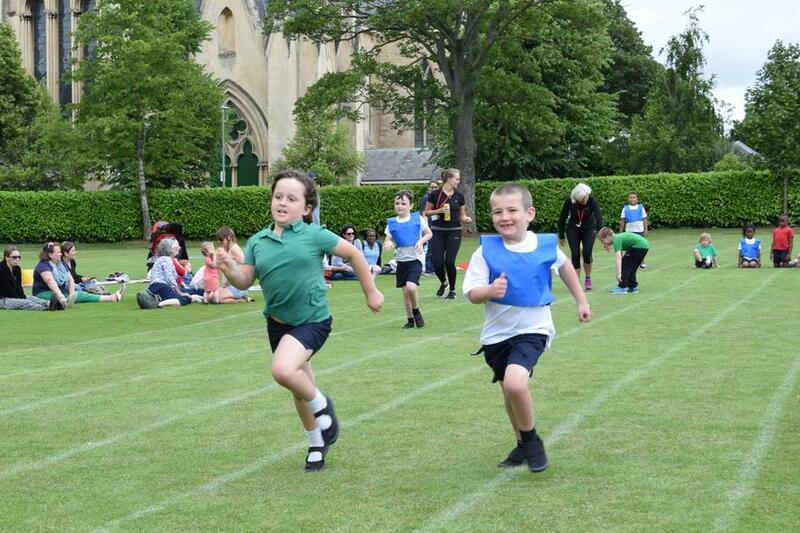 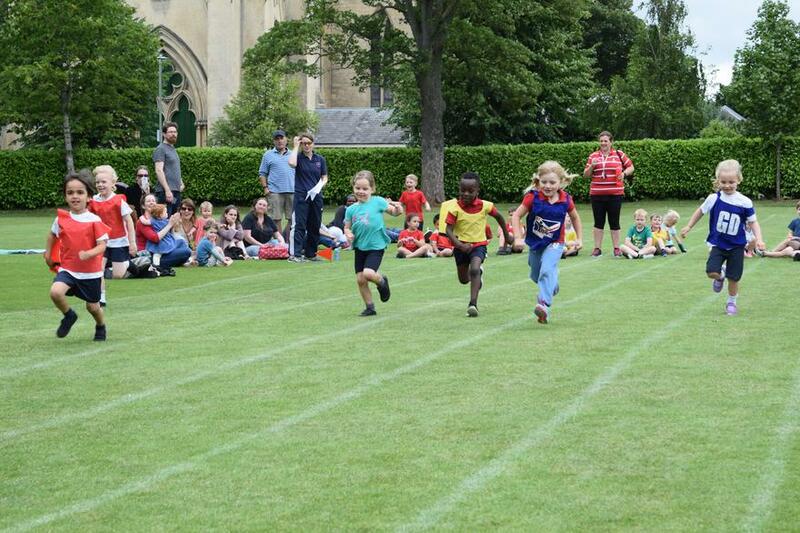 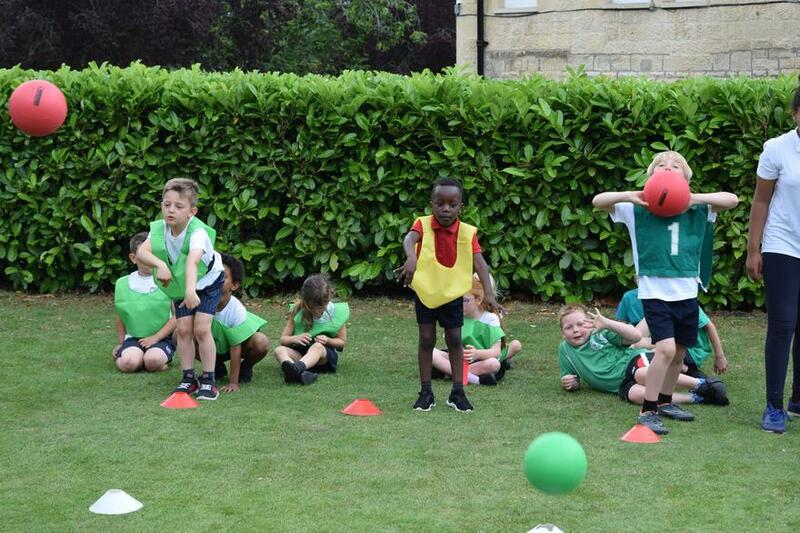 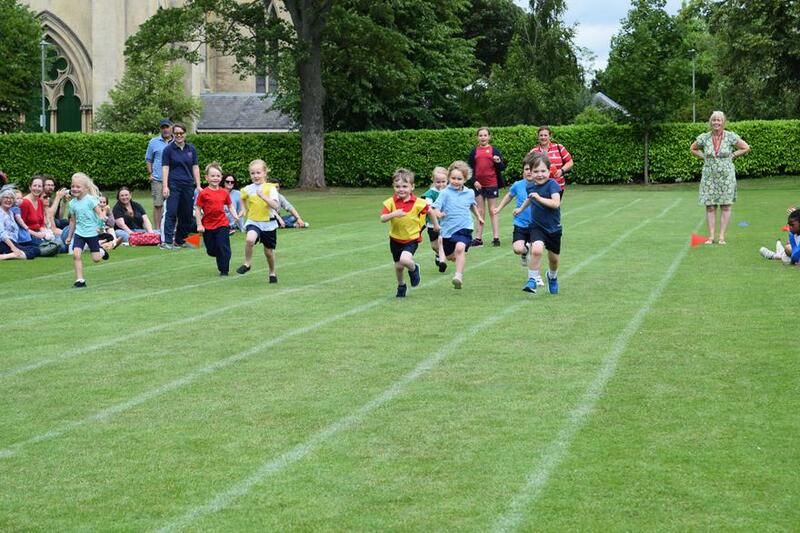 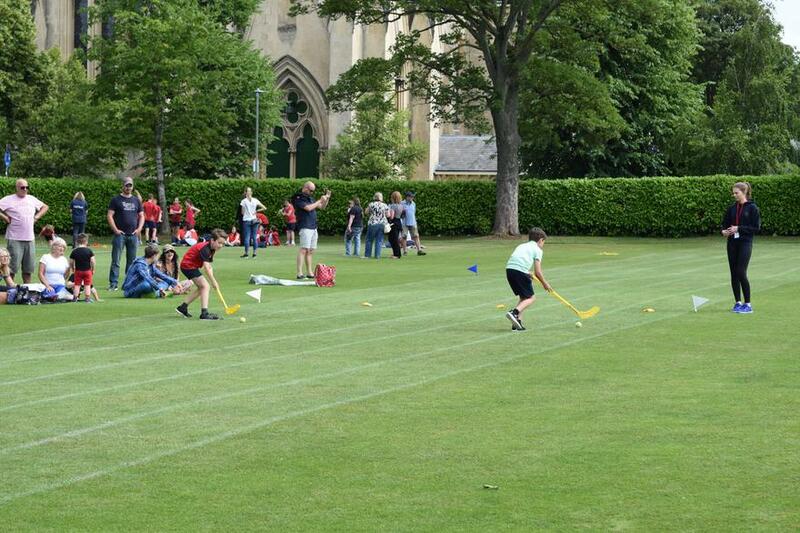 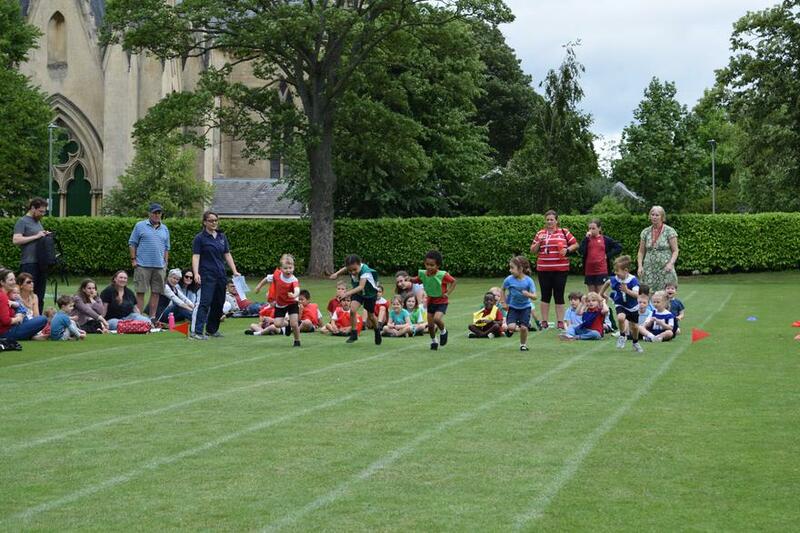 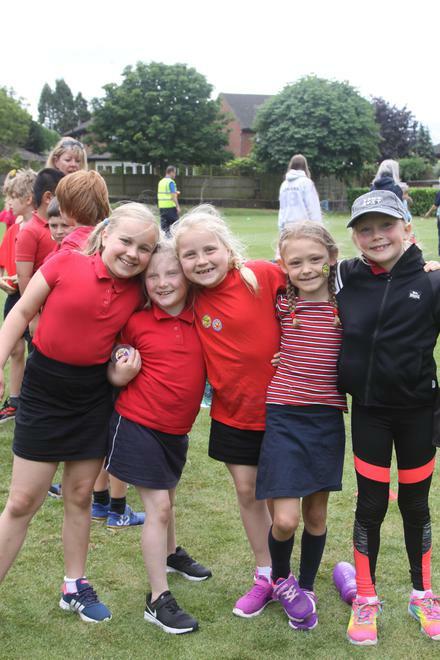 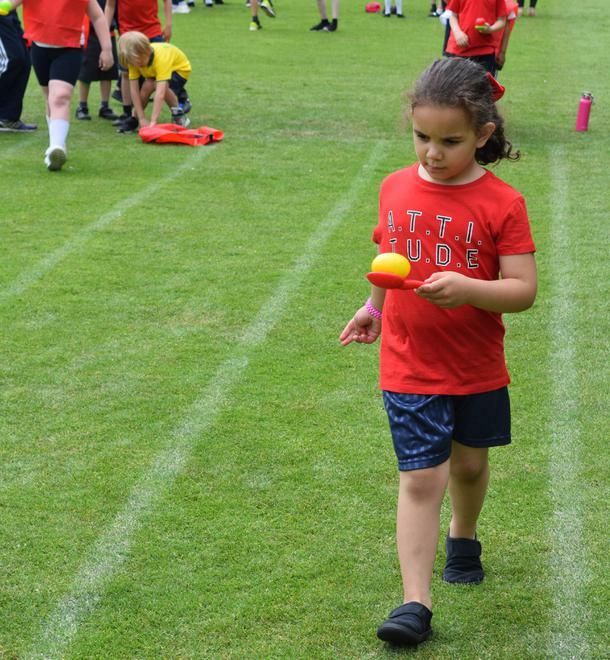 The red of Warwick, green of Sudeley and blue of Berkeley were worn with pride and passion as the children of Christ Church enjoyed a wonderful Sports Day at Farnley field. 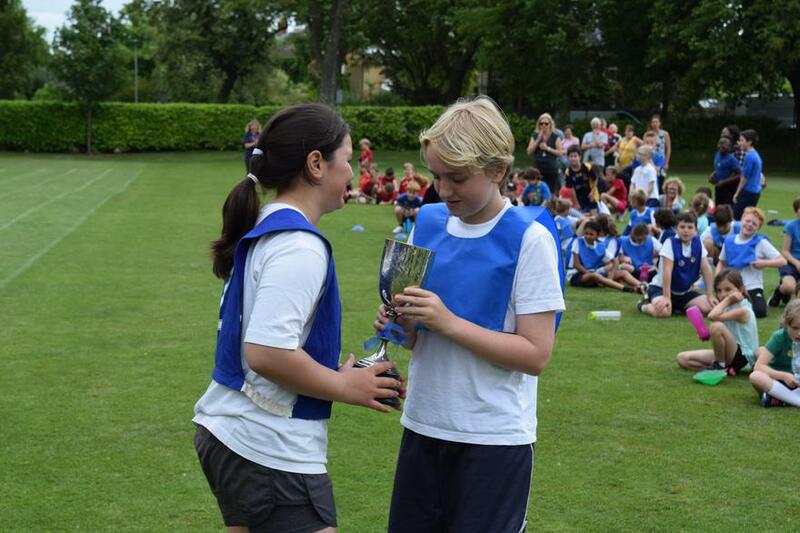 At the start of the day, Warwick were determined to defend their title but the other Houses were ready and hoping to take their crown. 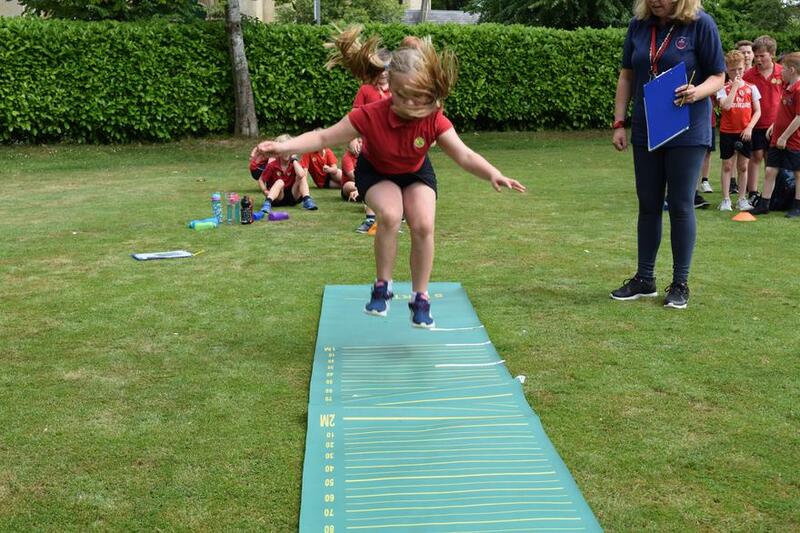 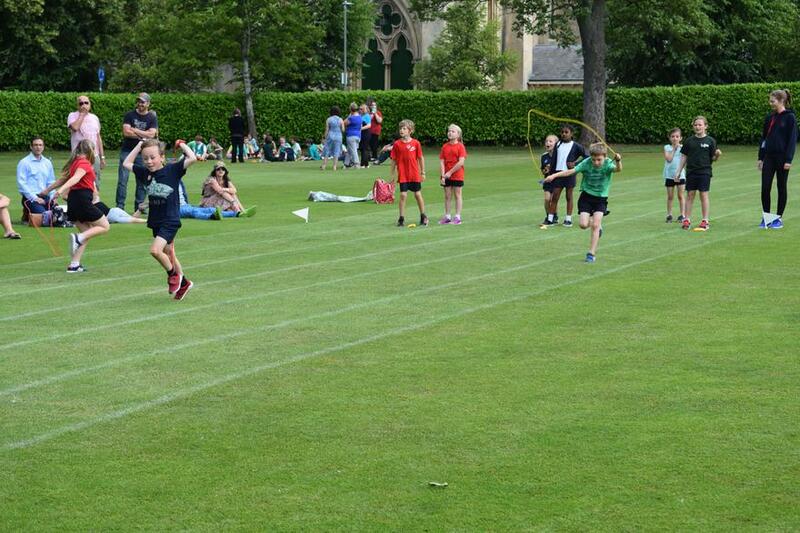 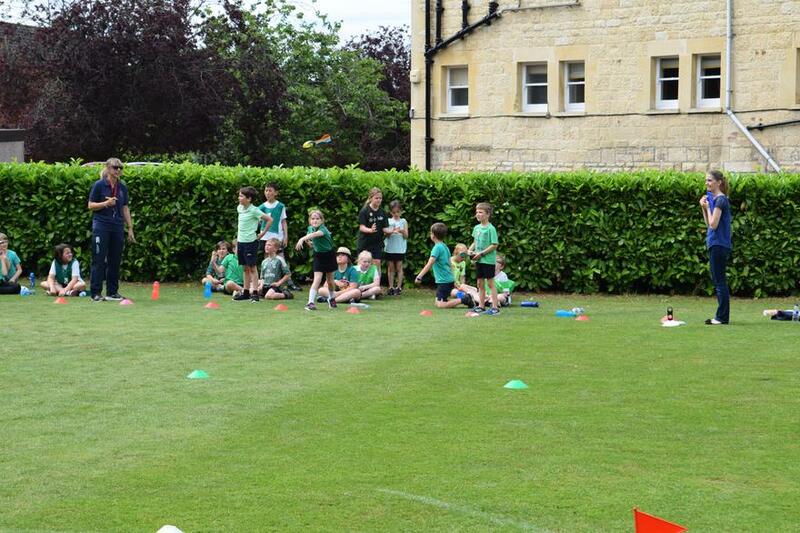 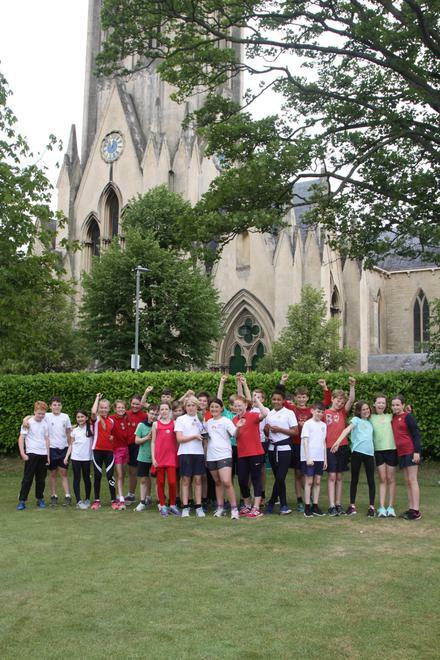 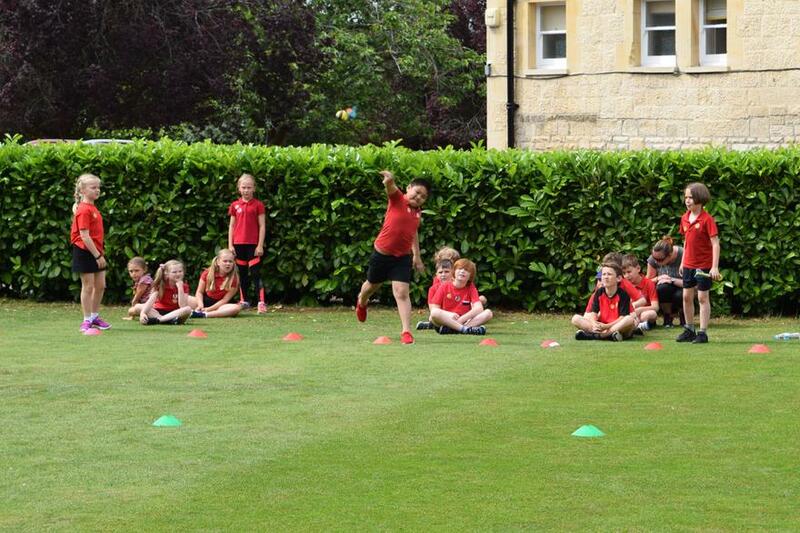 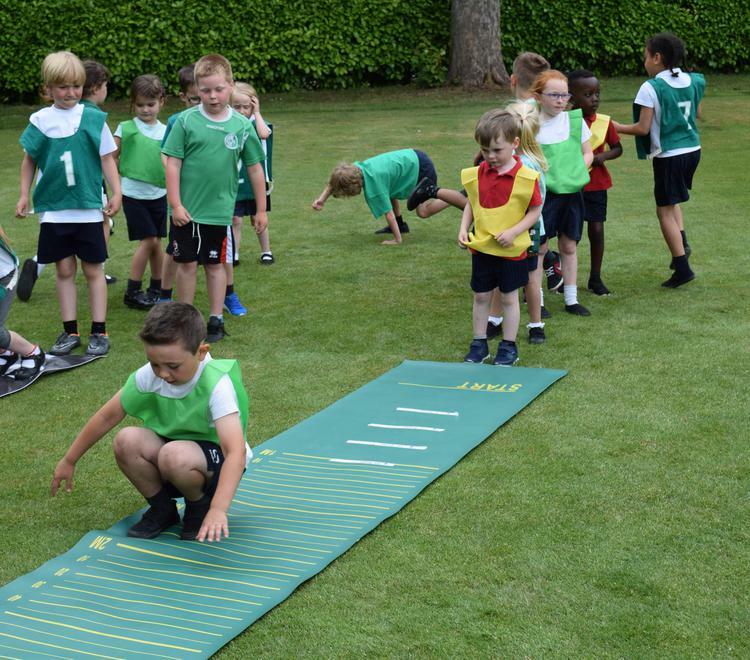 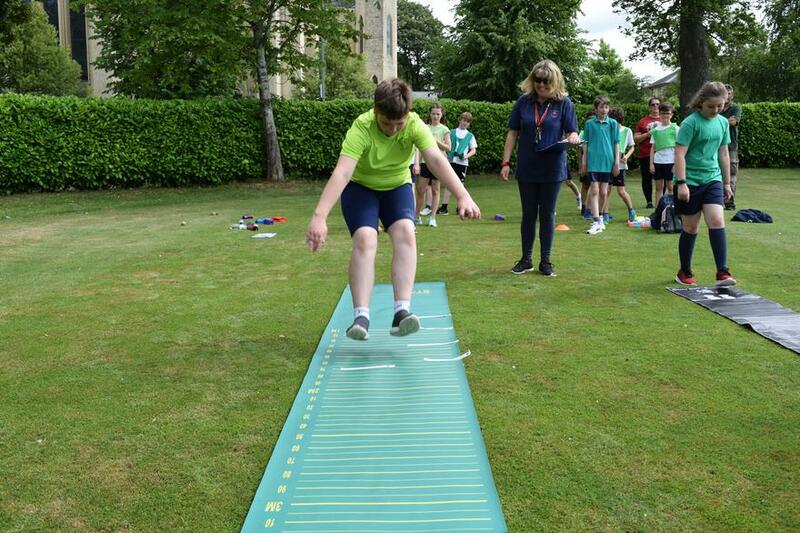 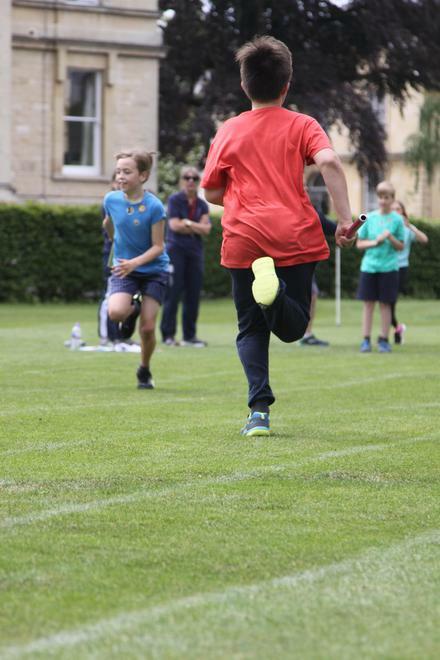 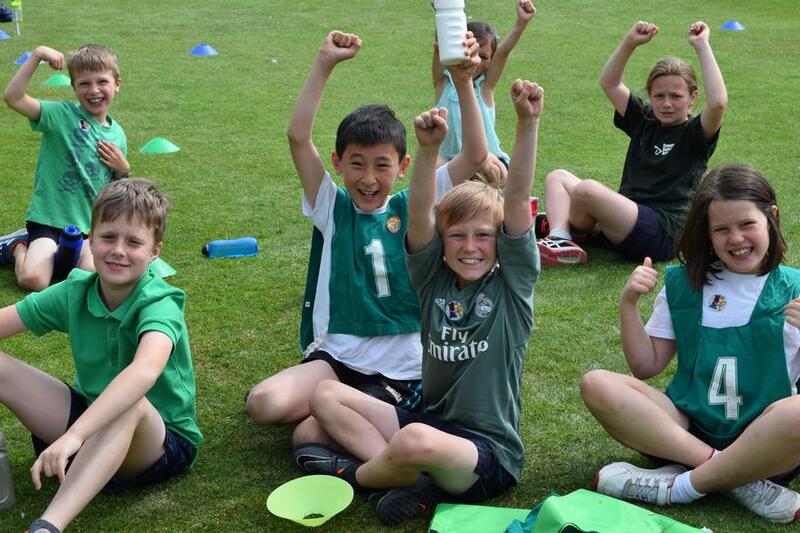 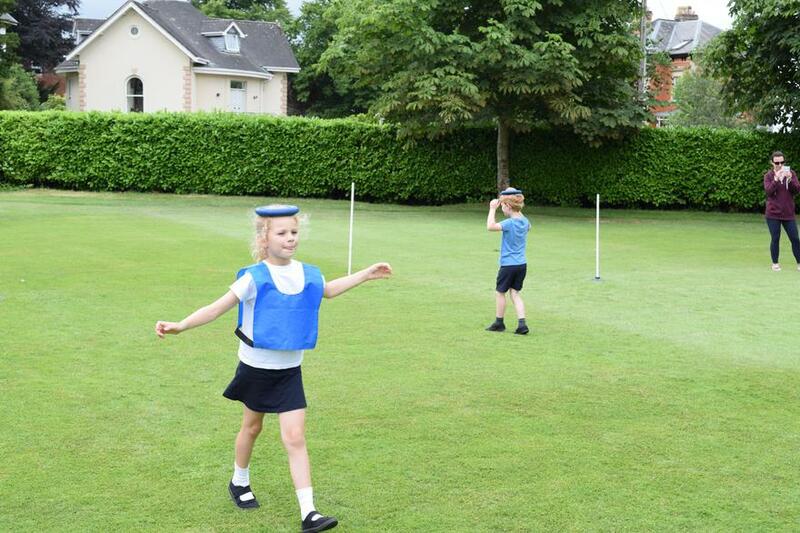 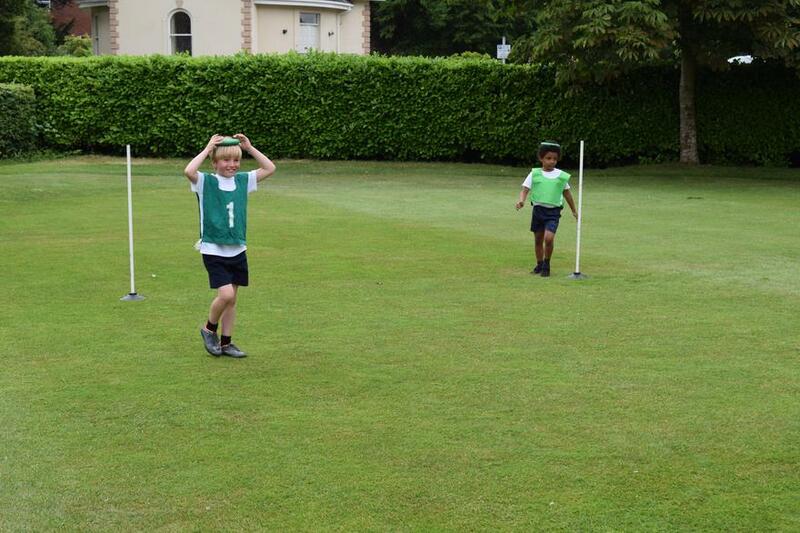 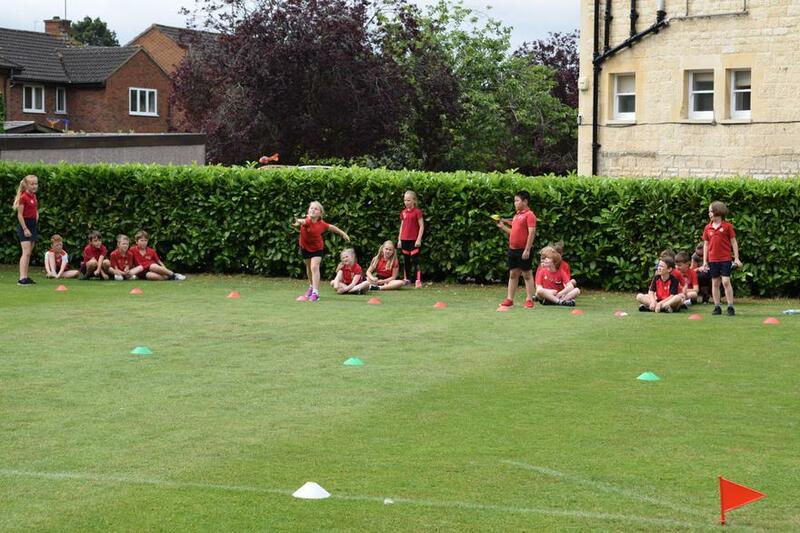 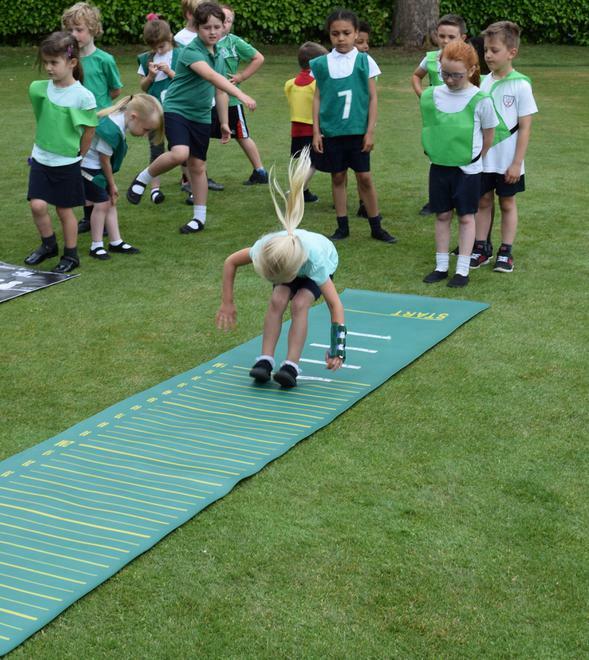 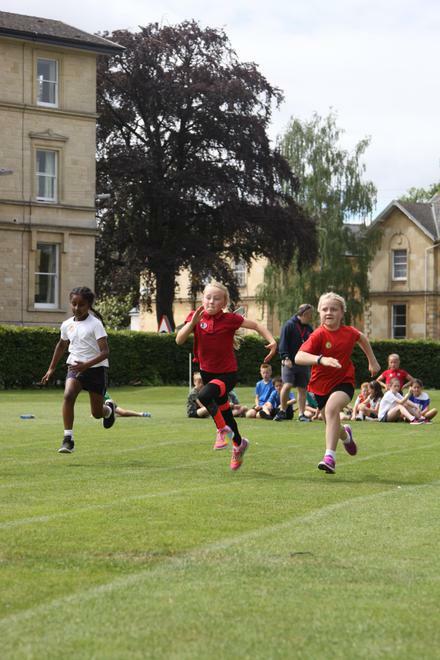 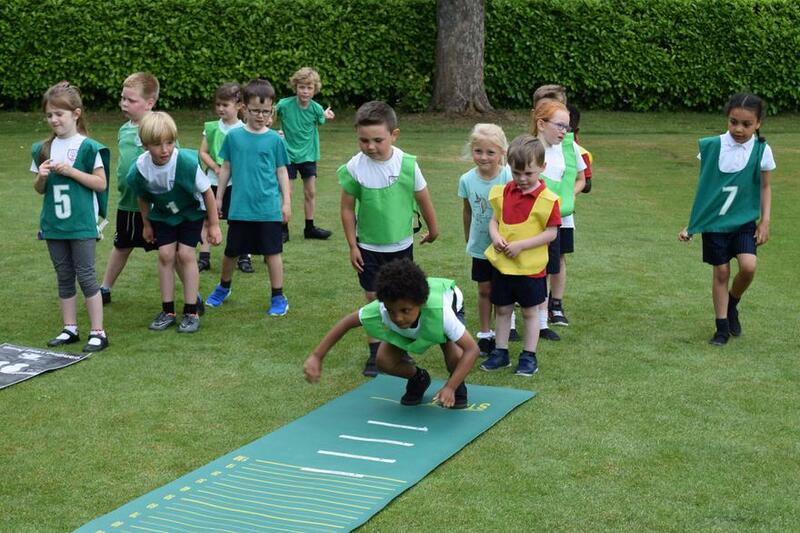 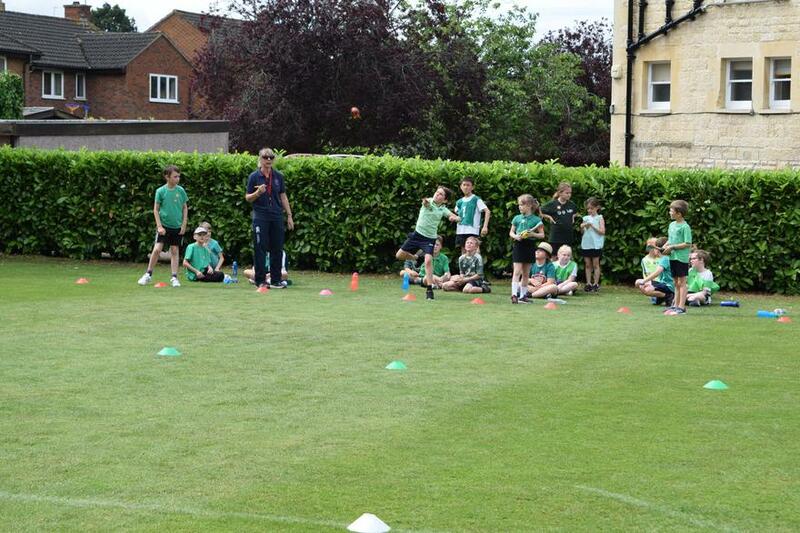 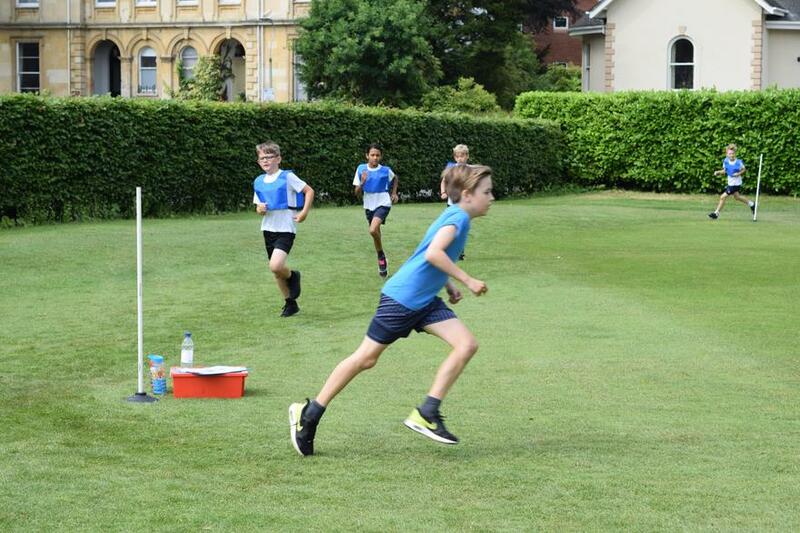 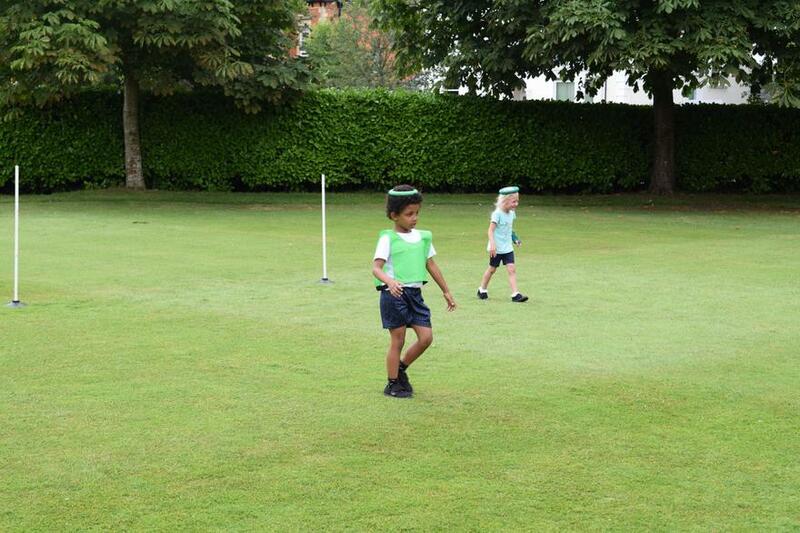 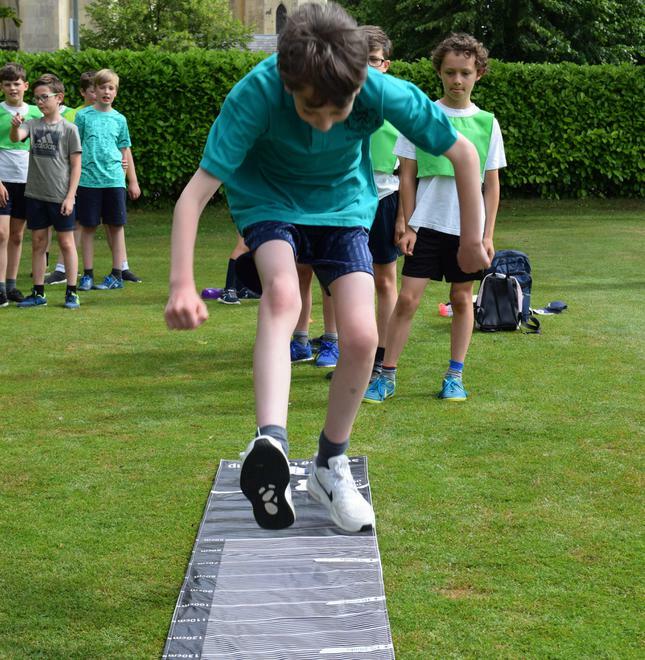 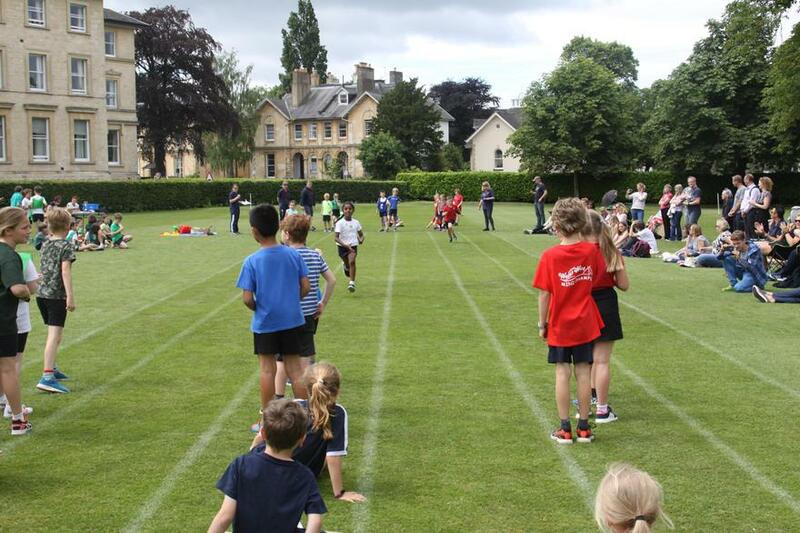 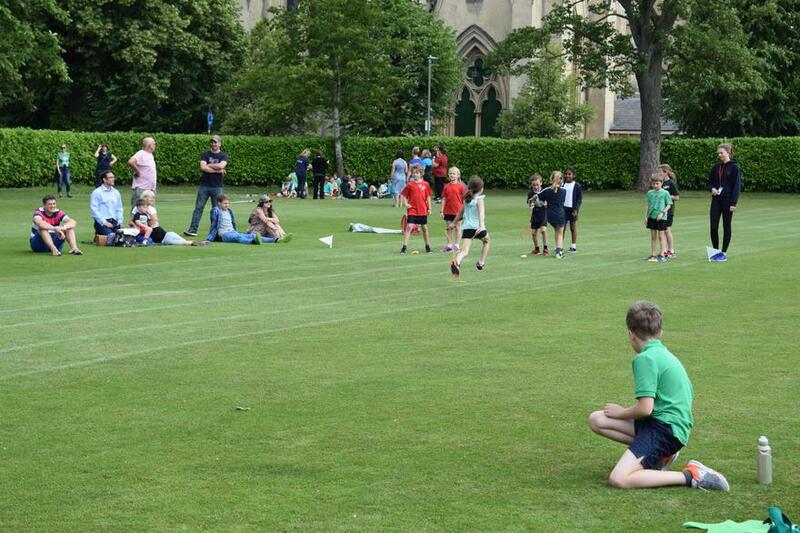 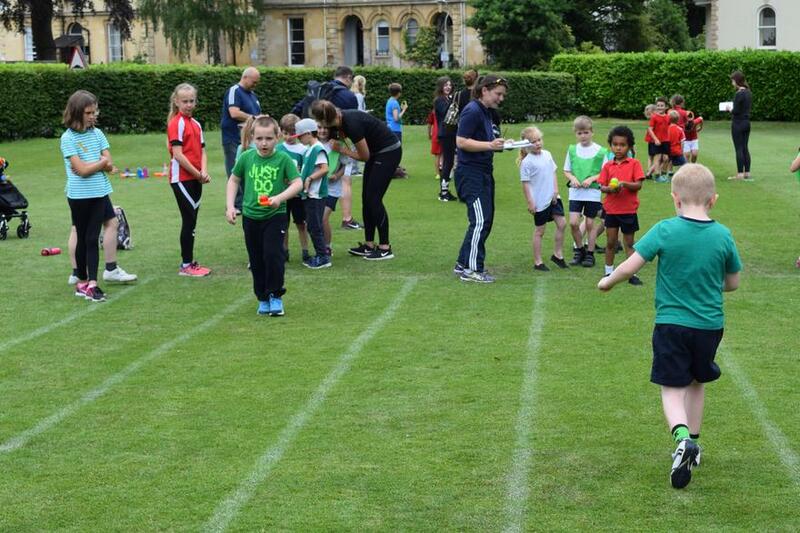 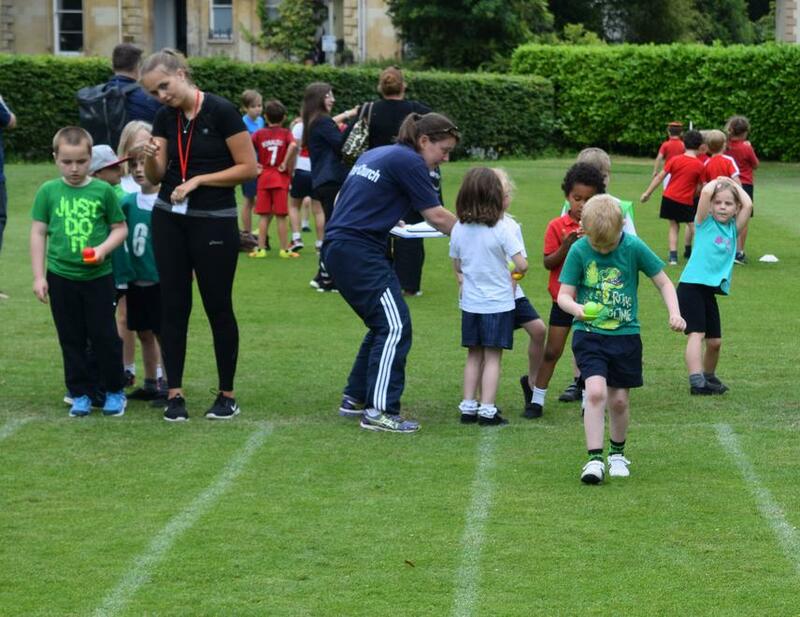 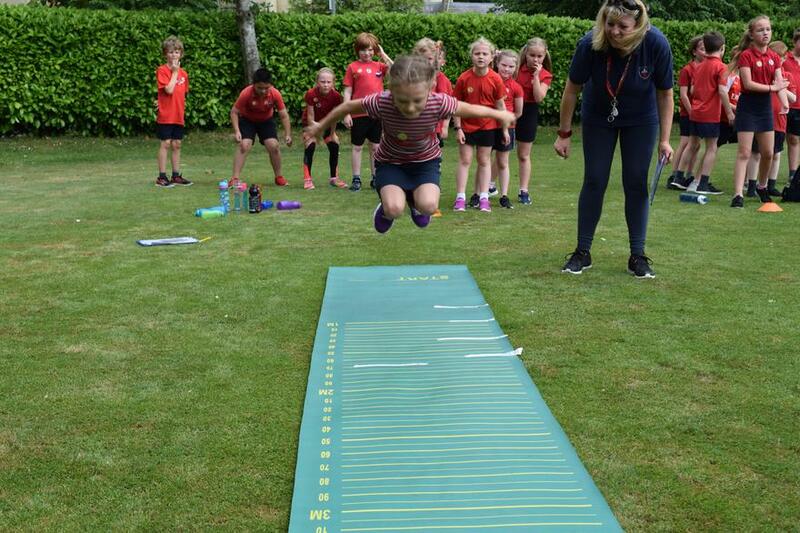 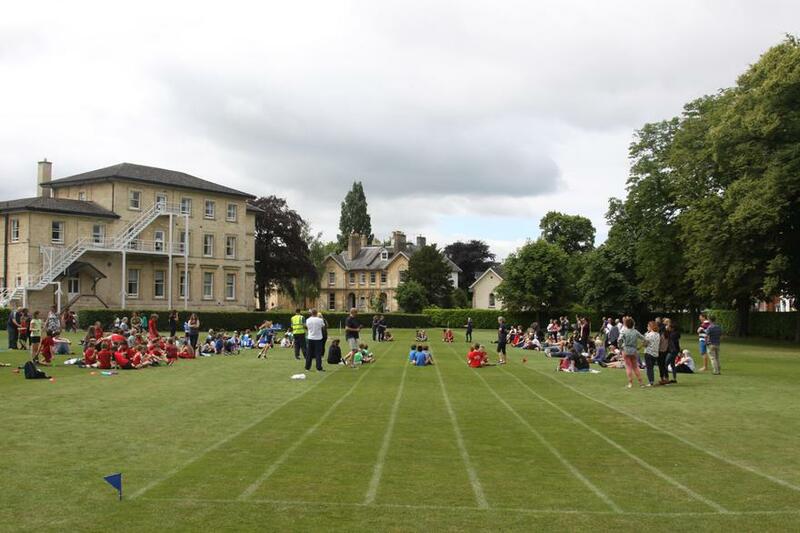 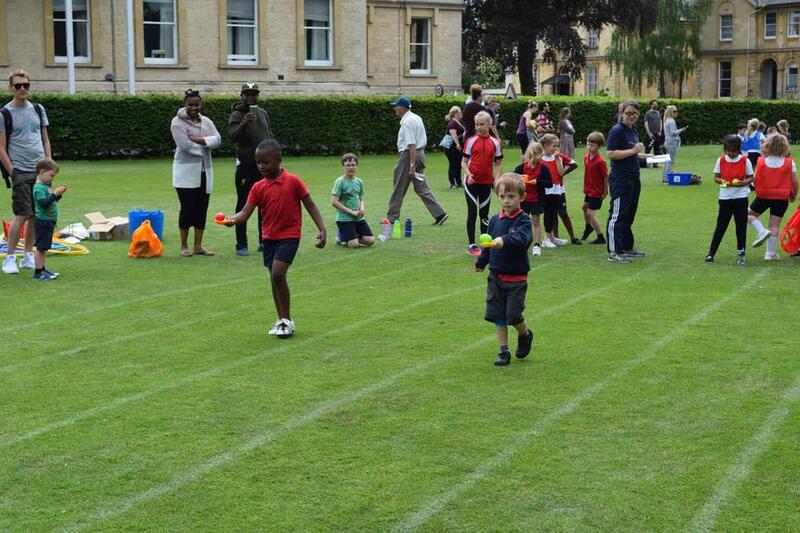 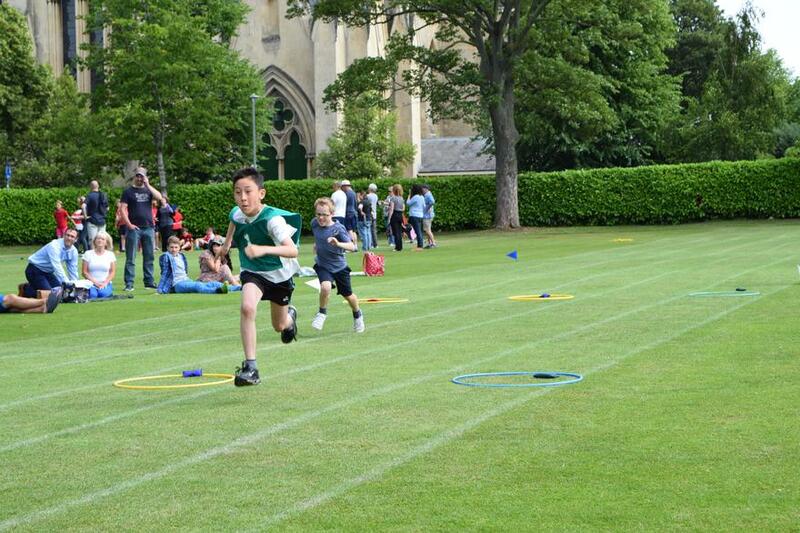 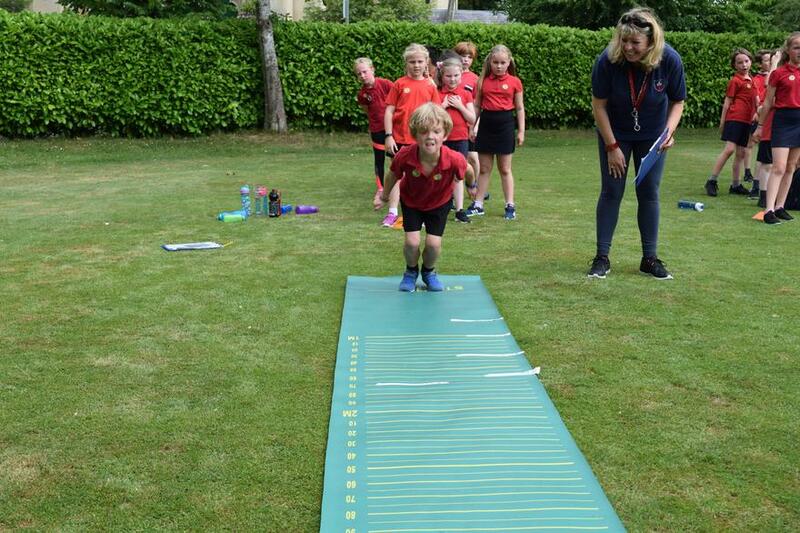 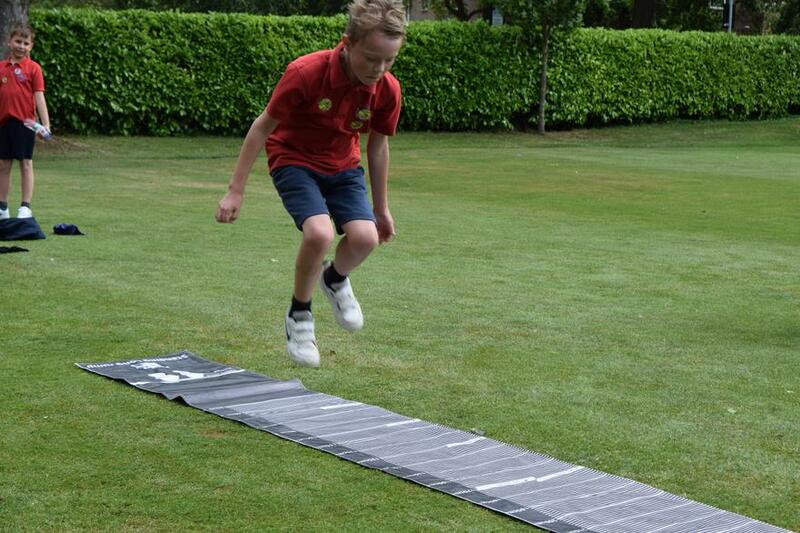 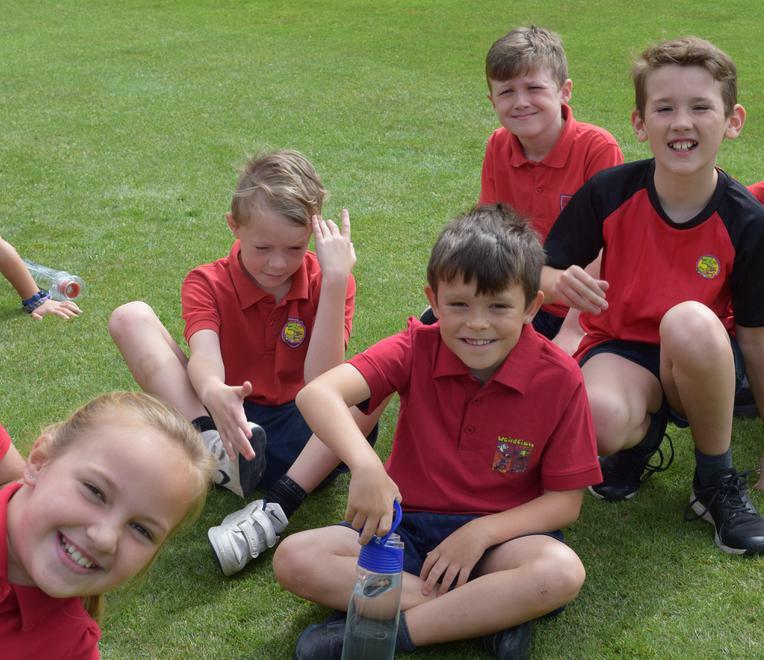 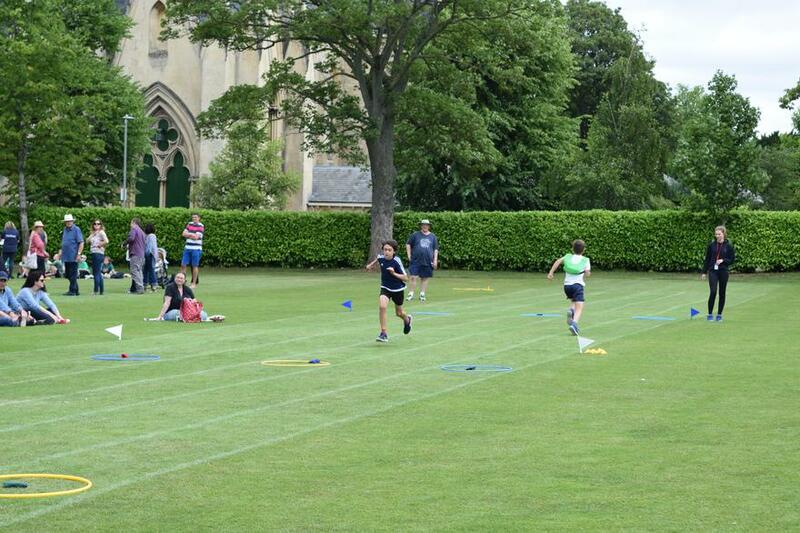 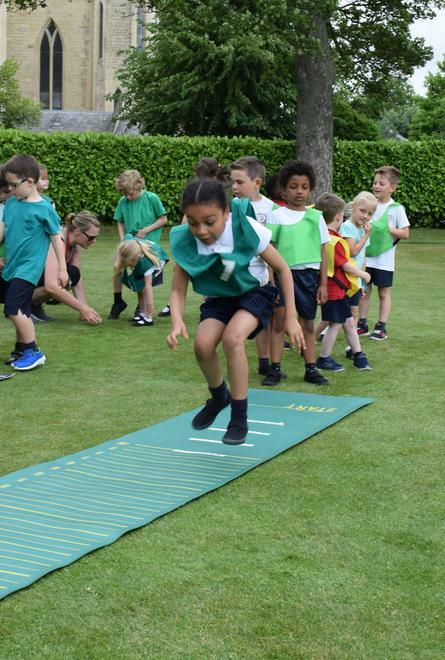 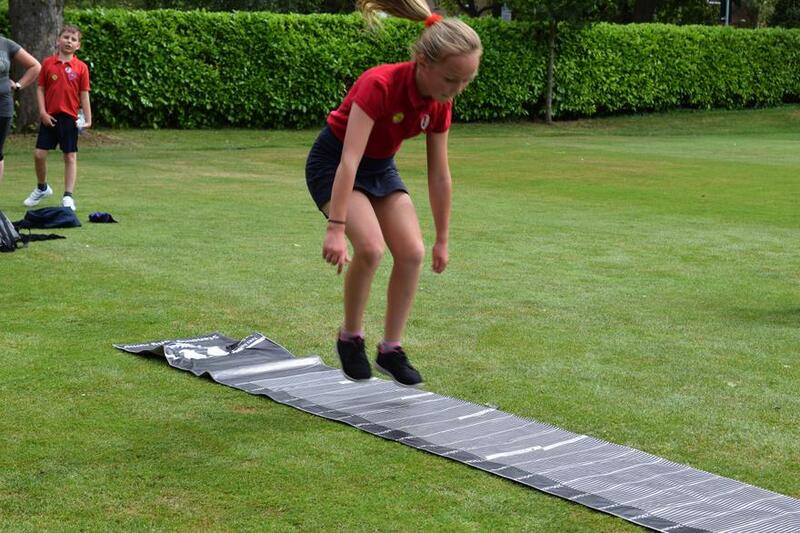 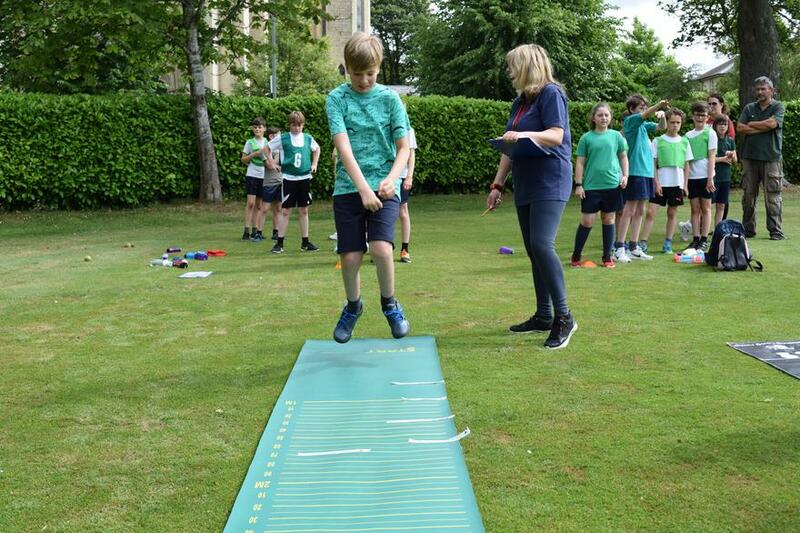 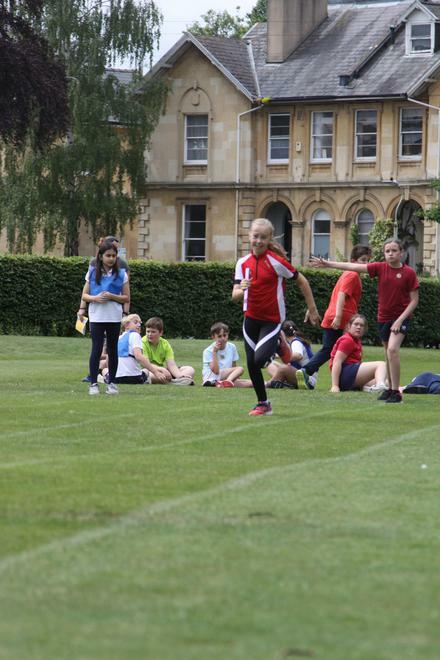 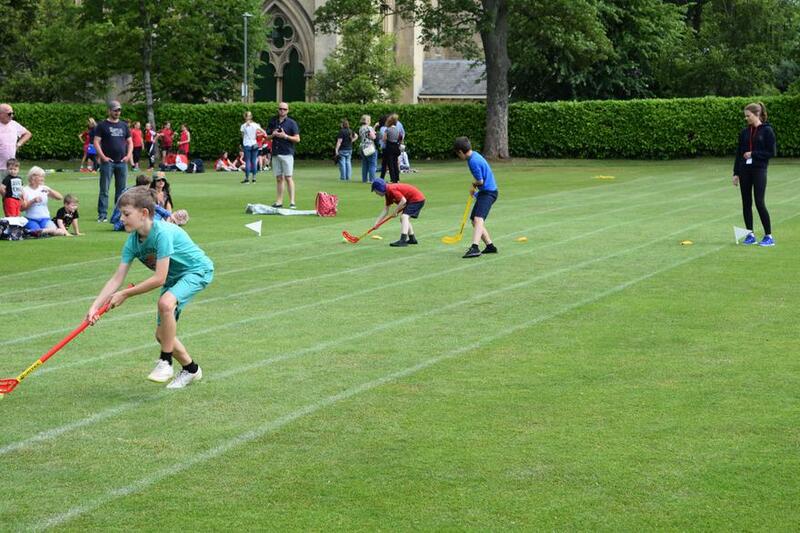 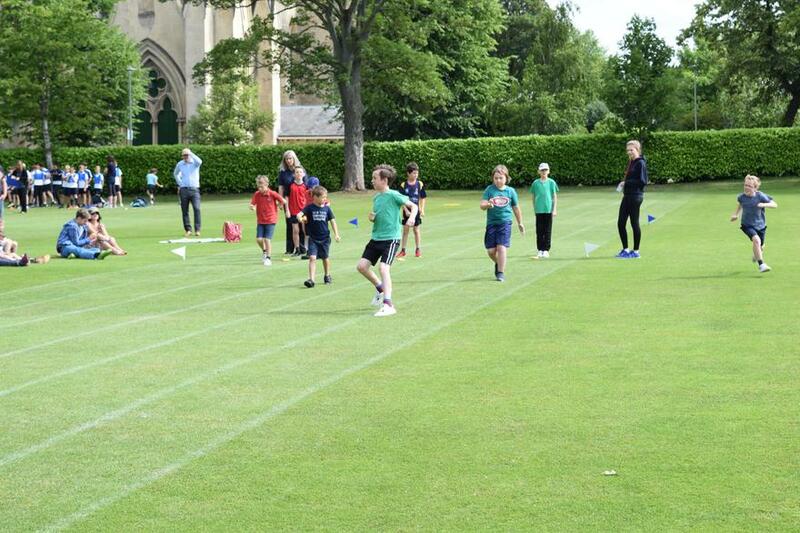 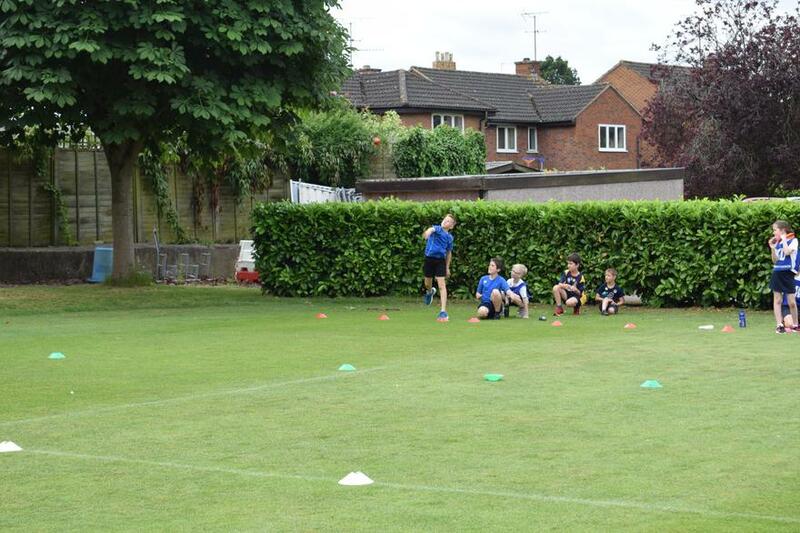 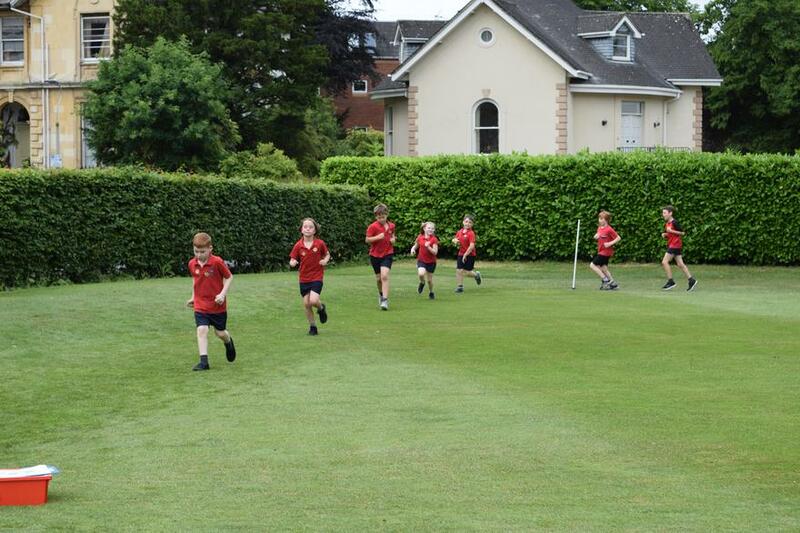 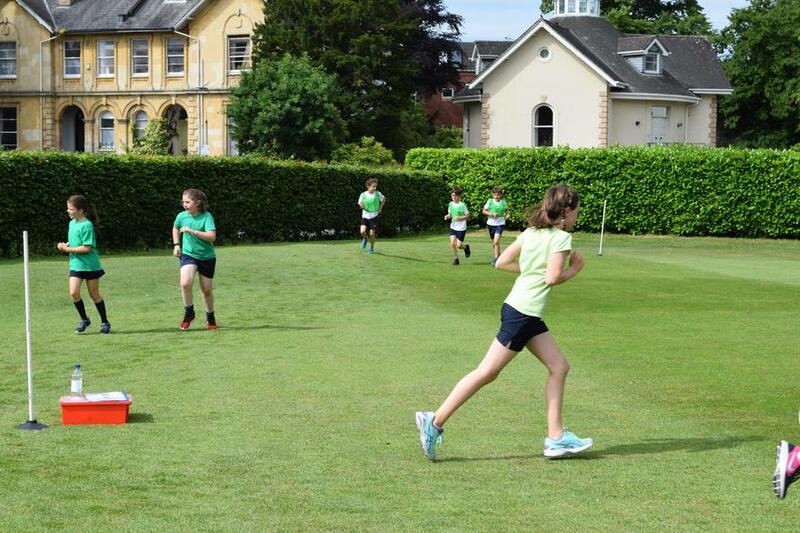 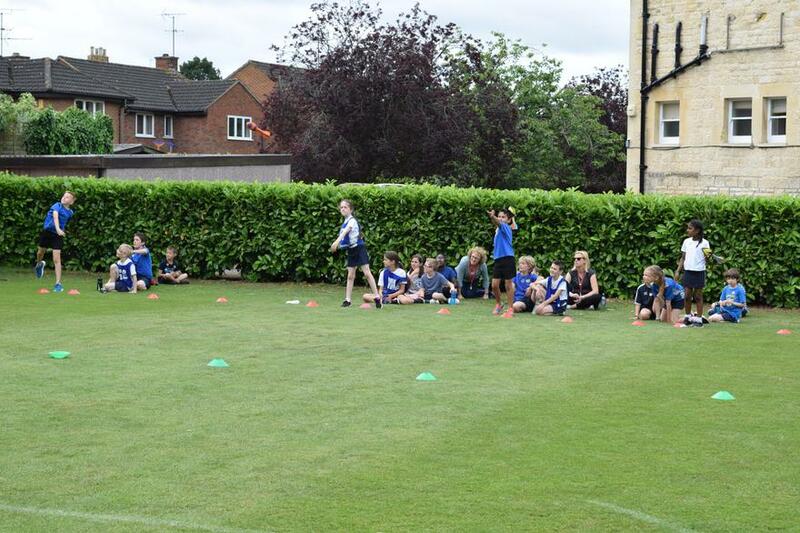 The KS2 activities saw the children take part in a wide range of track and field events including, standing long-jump, vortex throw, egg and spoon relay, skipping and individual sprints. 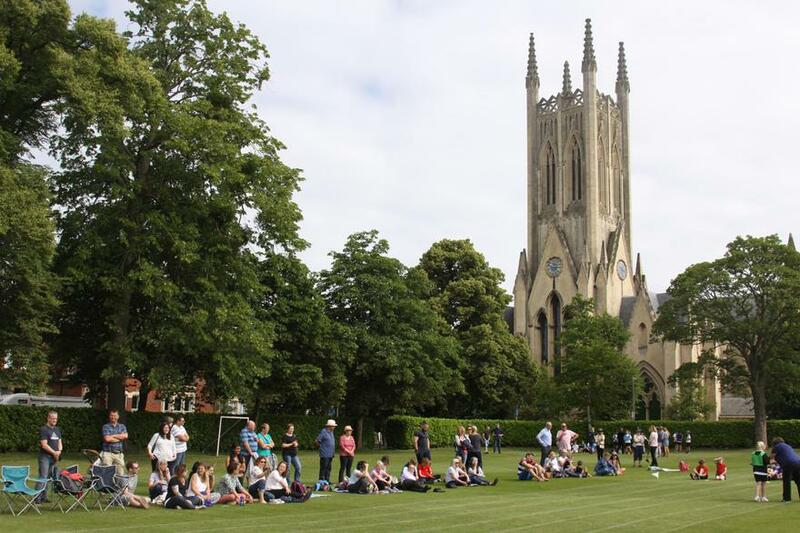 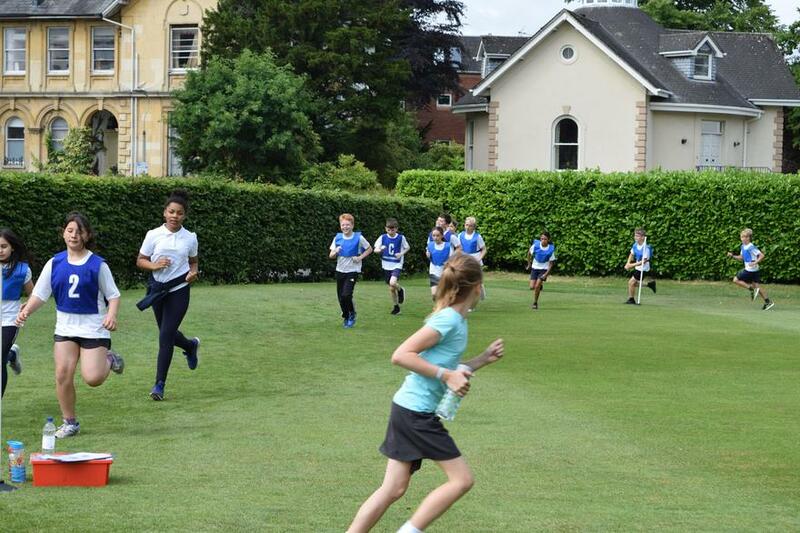 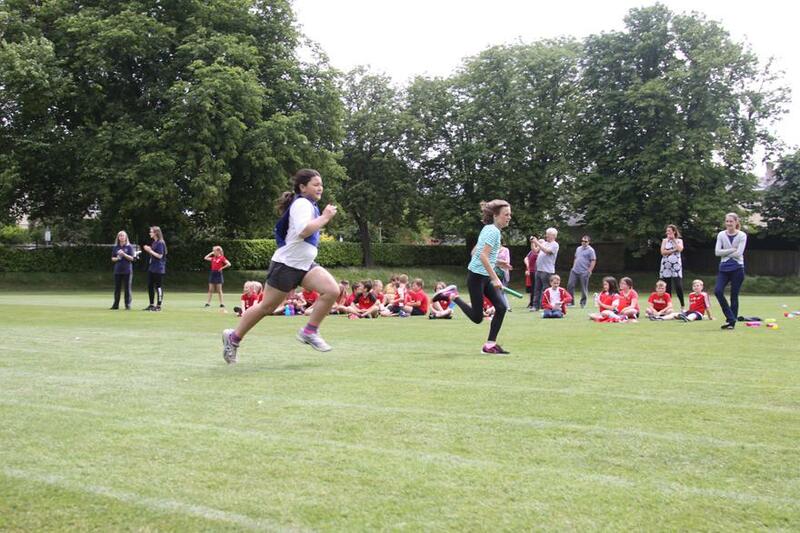 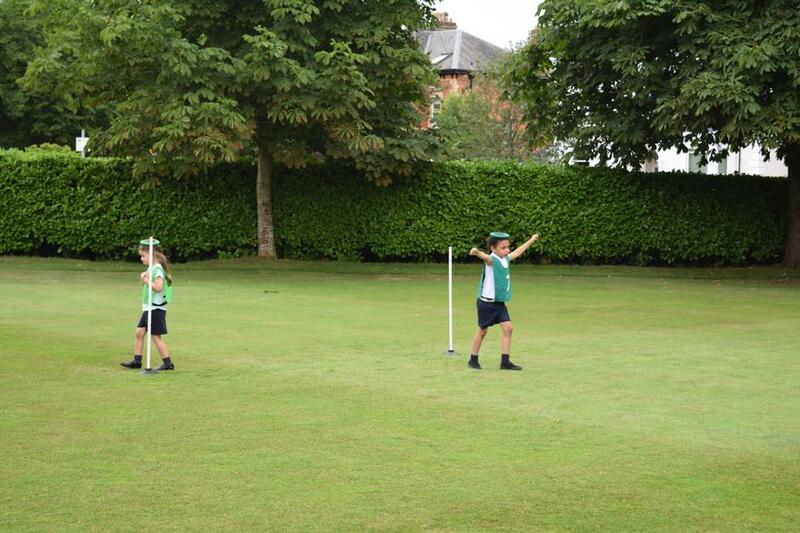 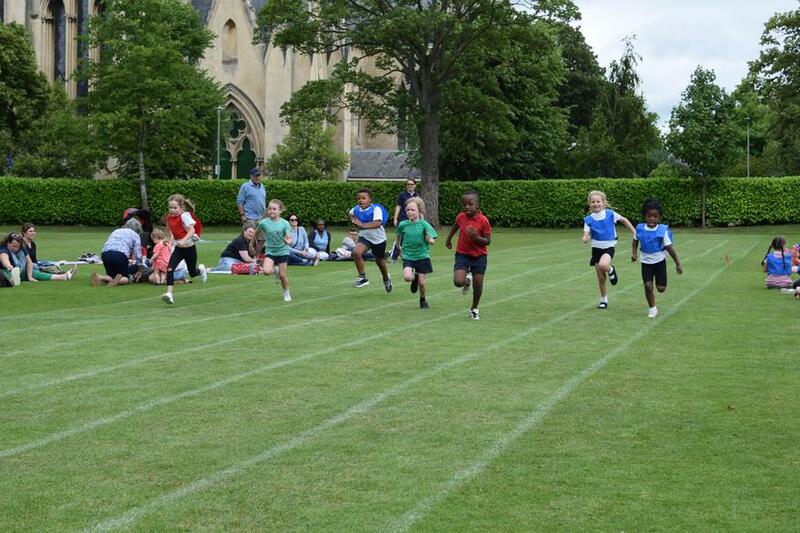 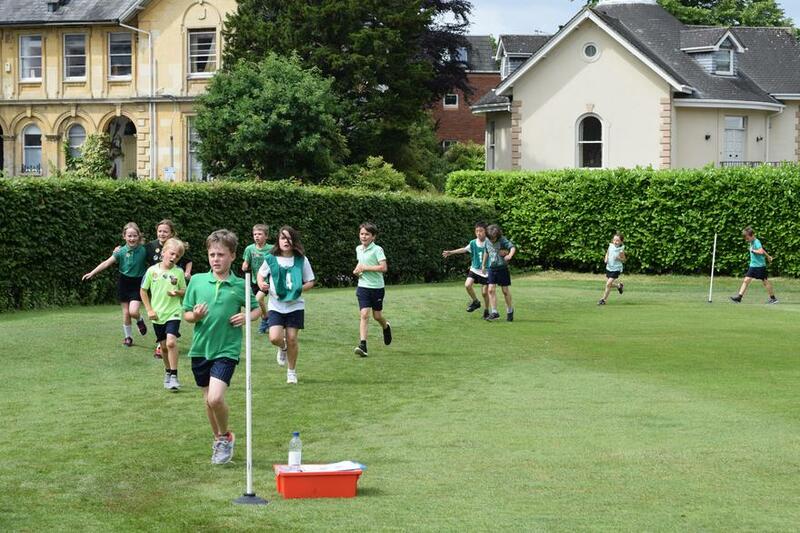 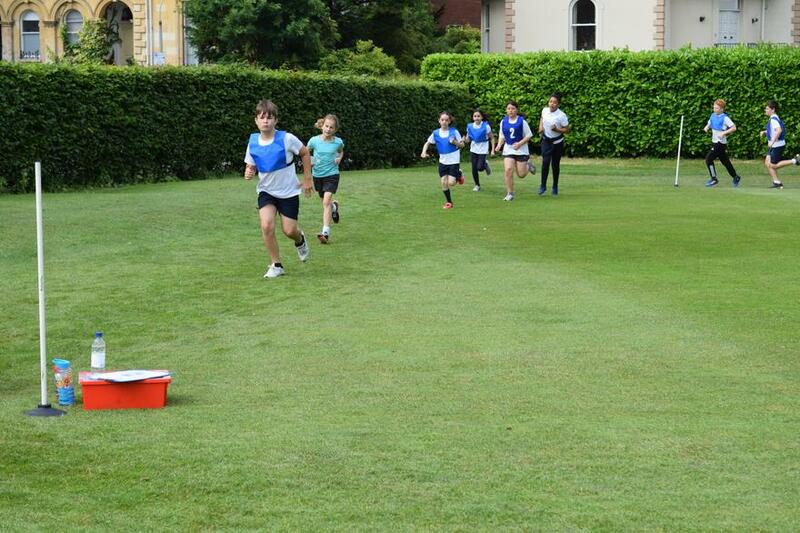 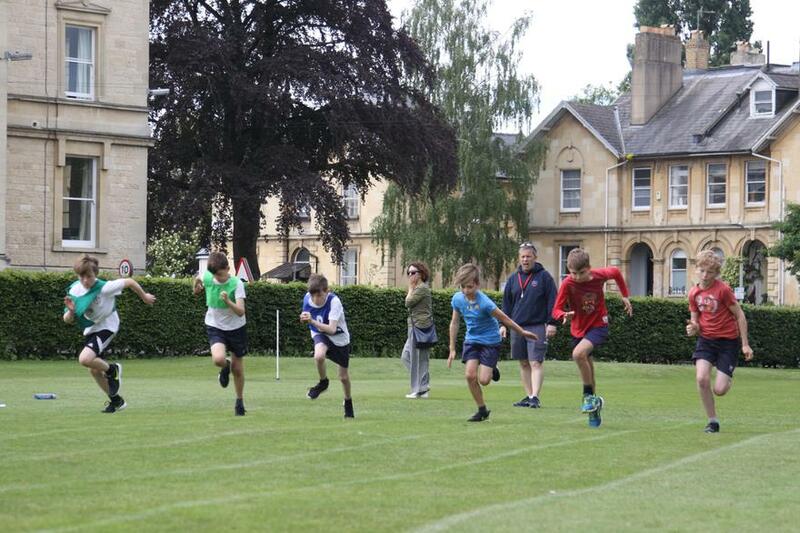 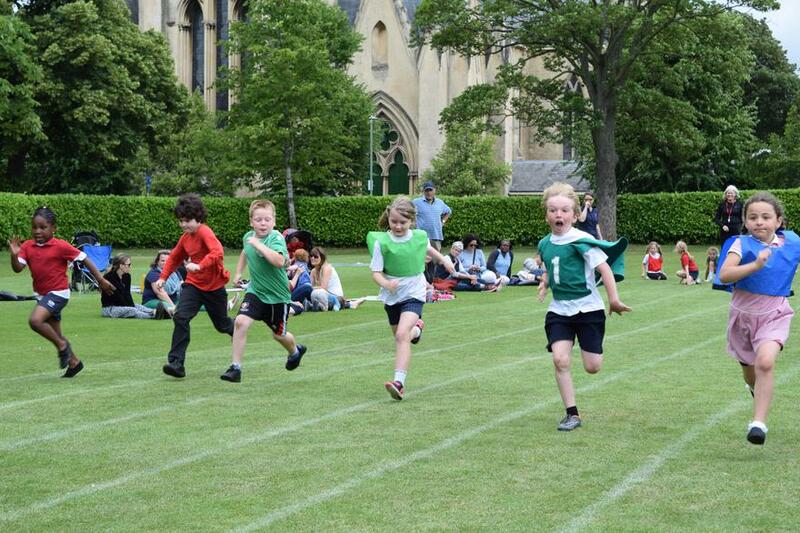 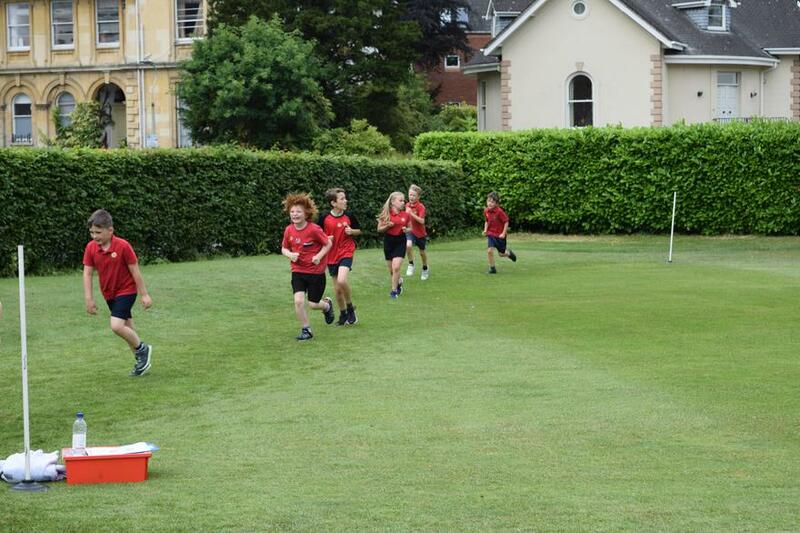 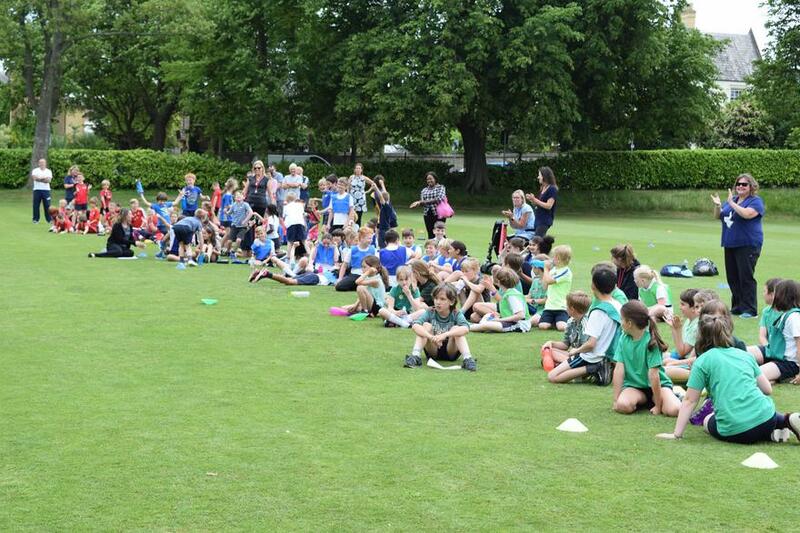 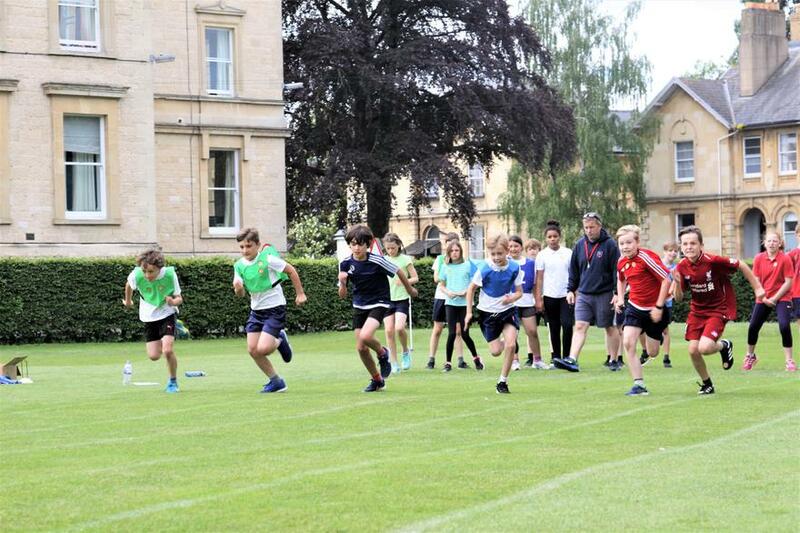 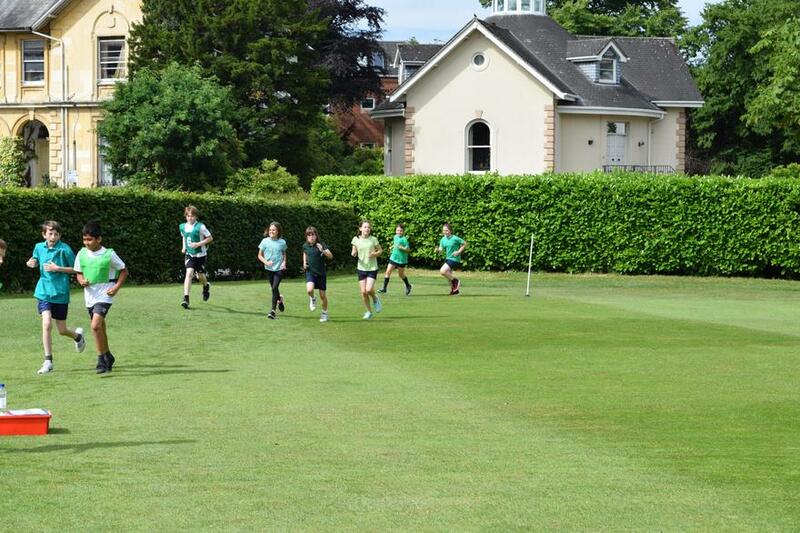 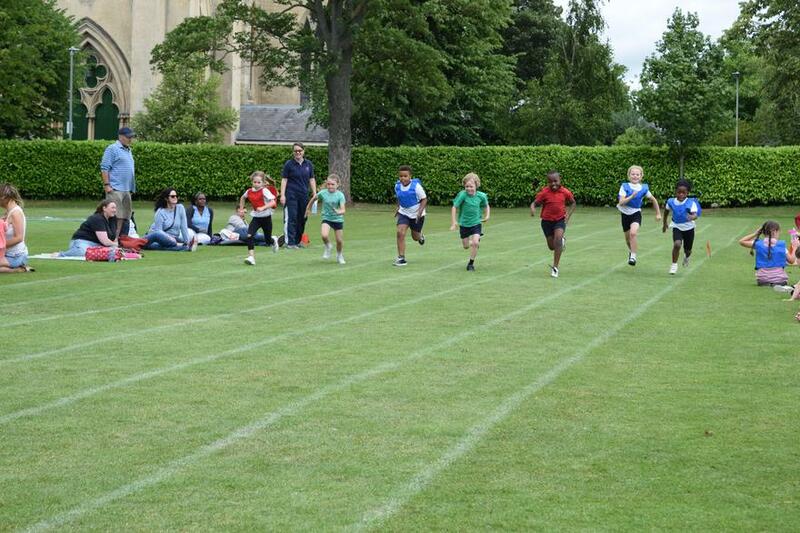 The morning then finished with each year group competing in House relays. 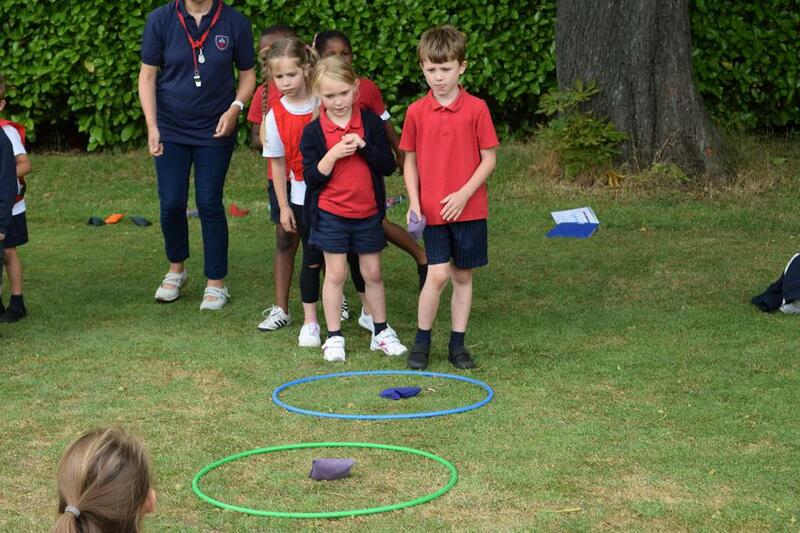 It was a wonderful competition and the children represented their Houses with great sportsmanship and competitive spirit. 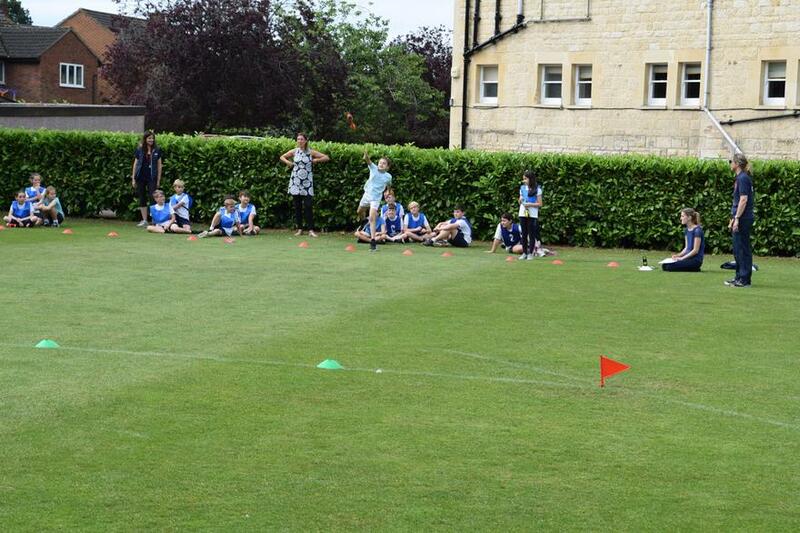 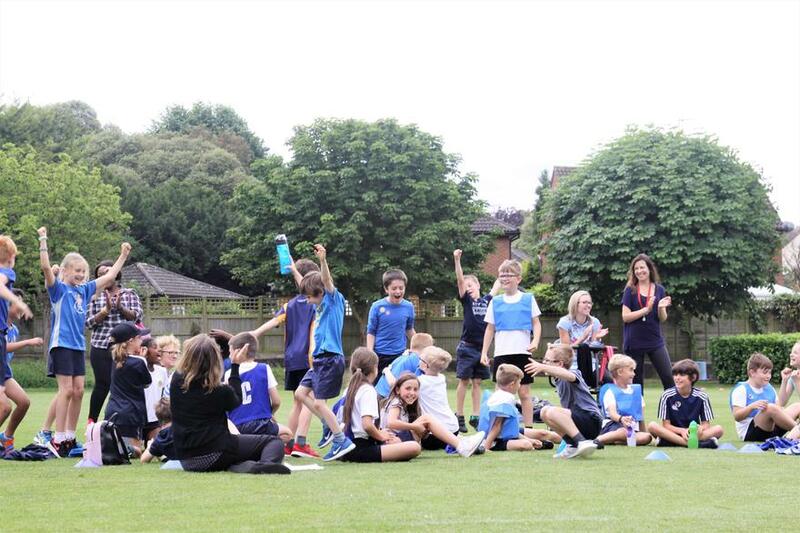 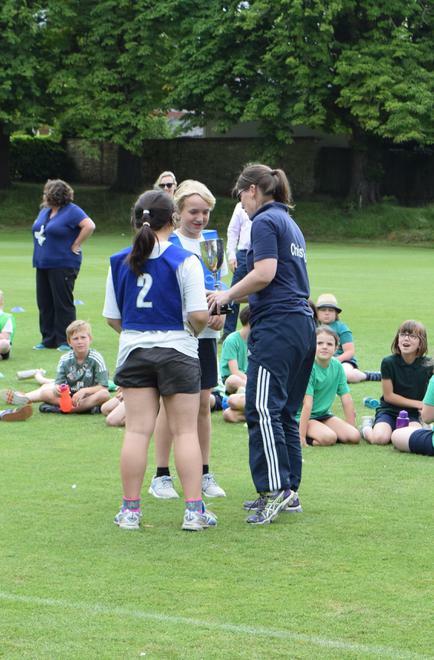 At the end of the event, the points were totaled and this year's KS2 winners were Berkeley! 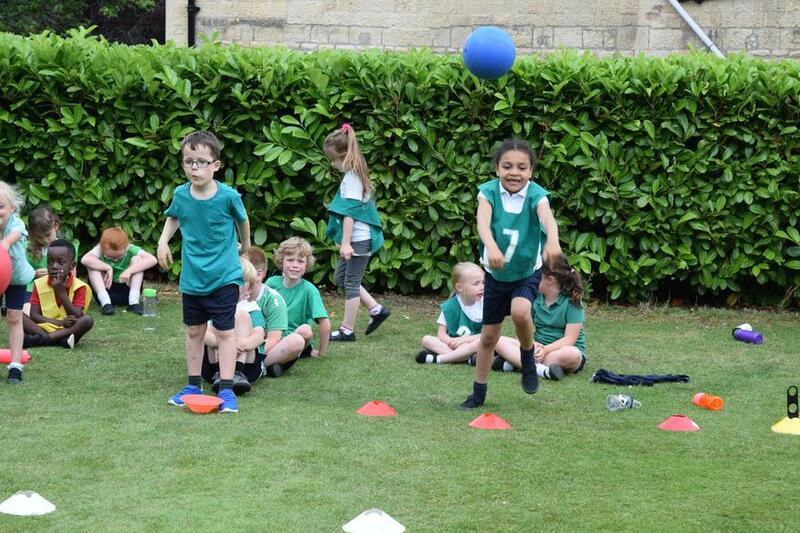 The afternoon saw the Reception & KS1 competition. 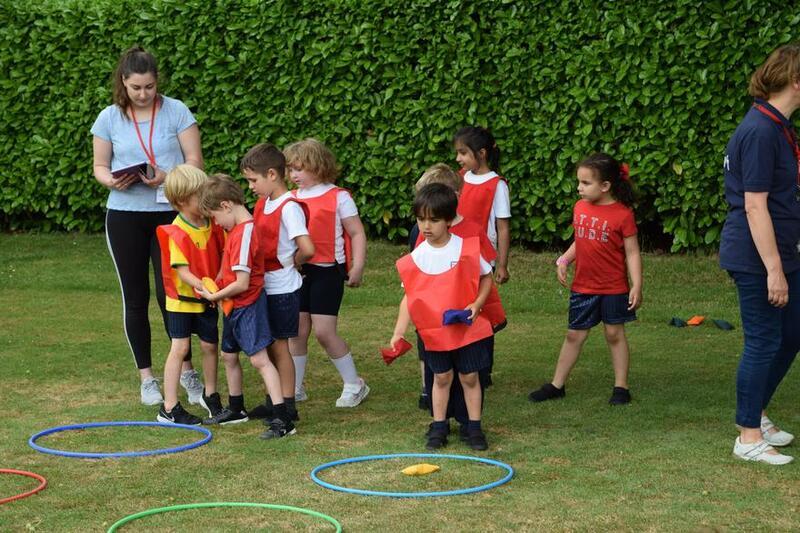 Once again, the children were sporting their colours and ready to do their best for their Houses. 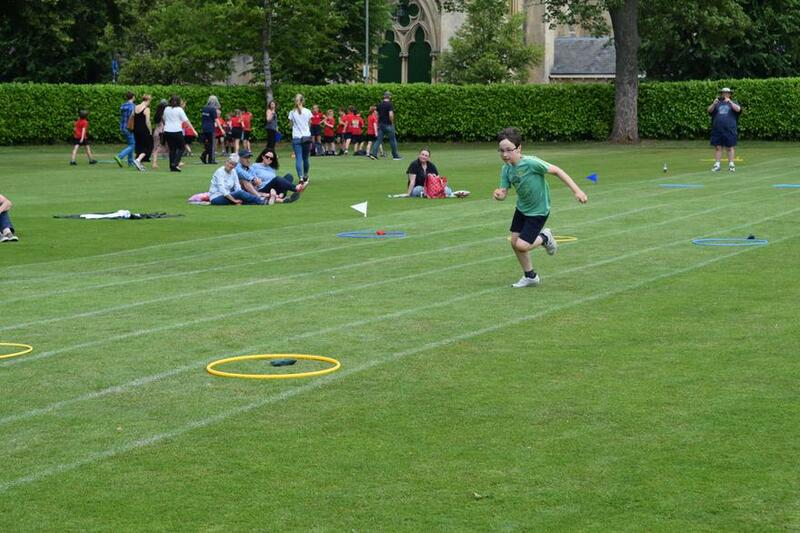 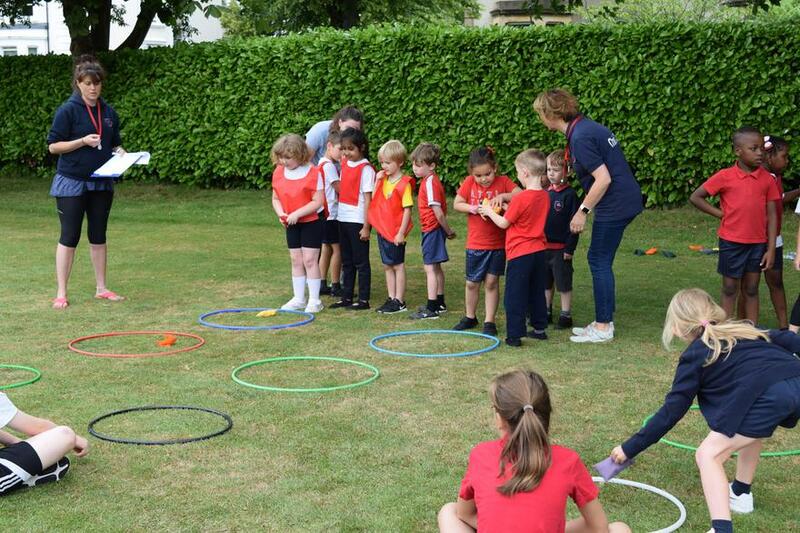 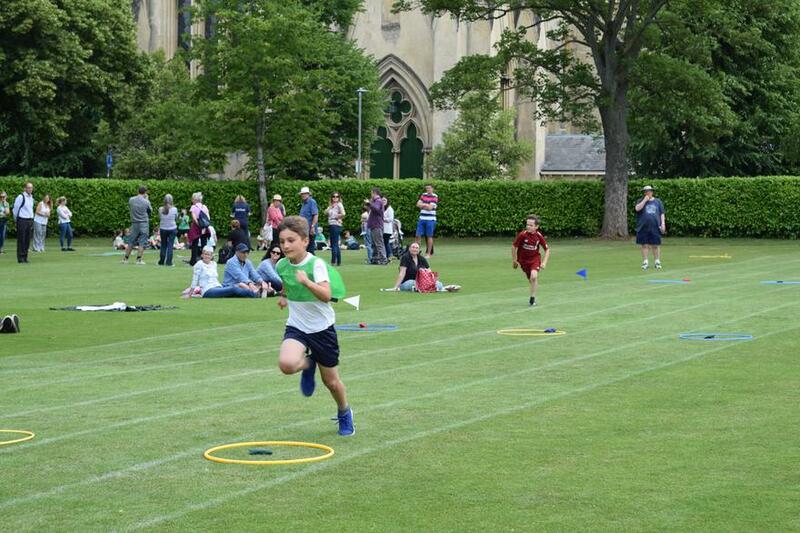 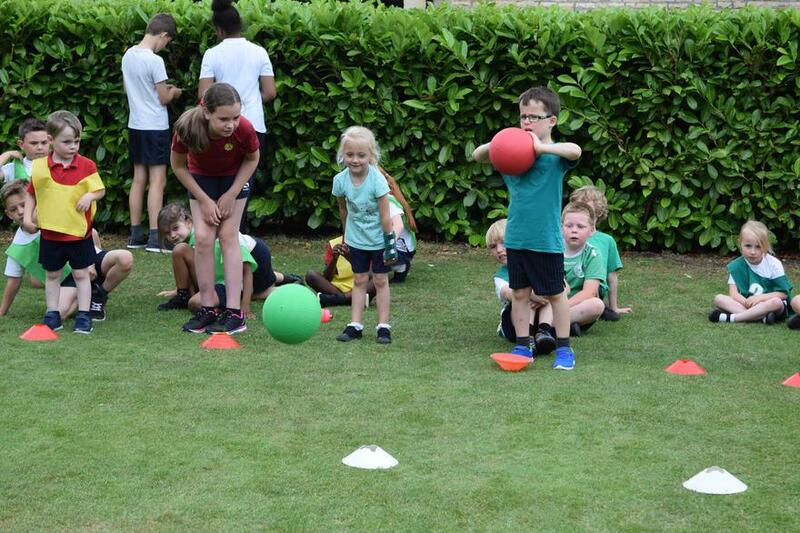 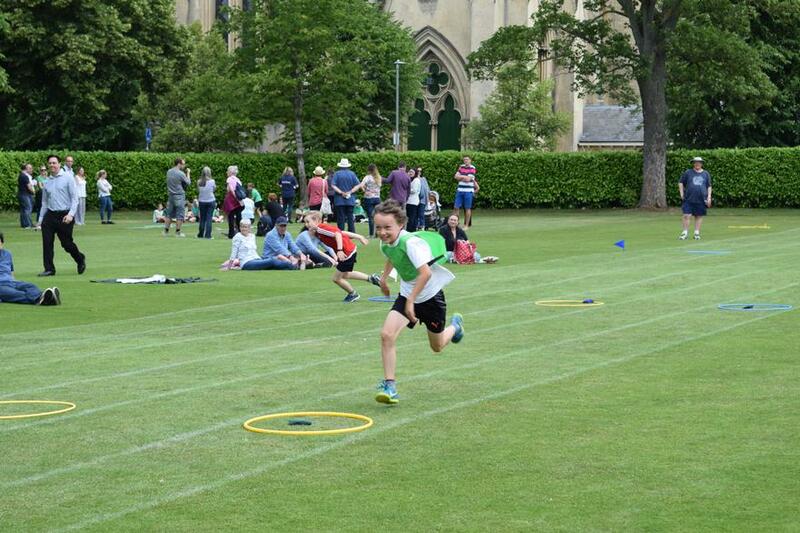 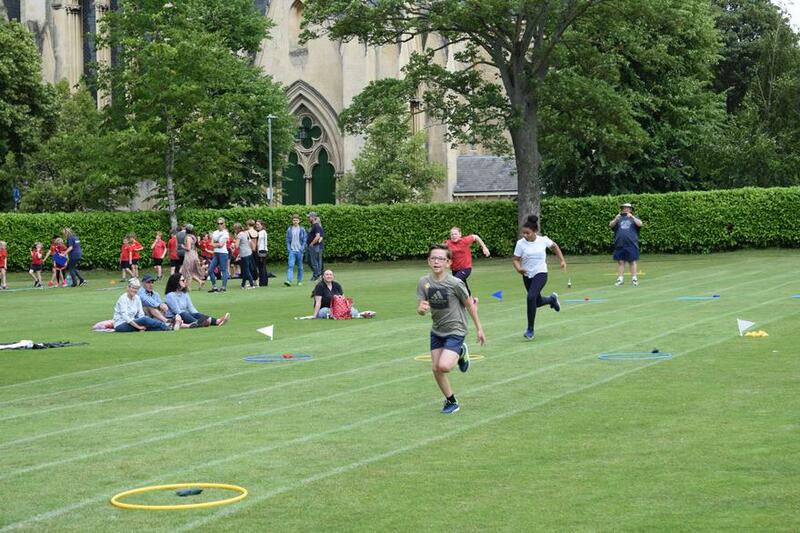 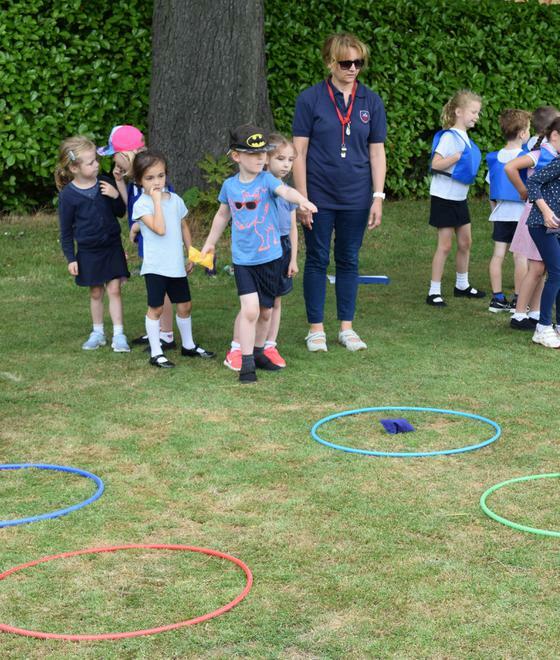 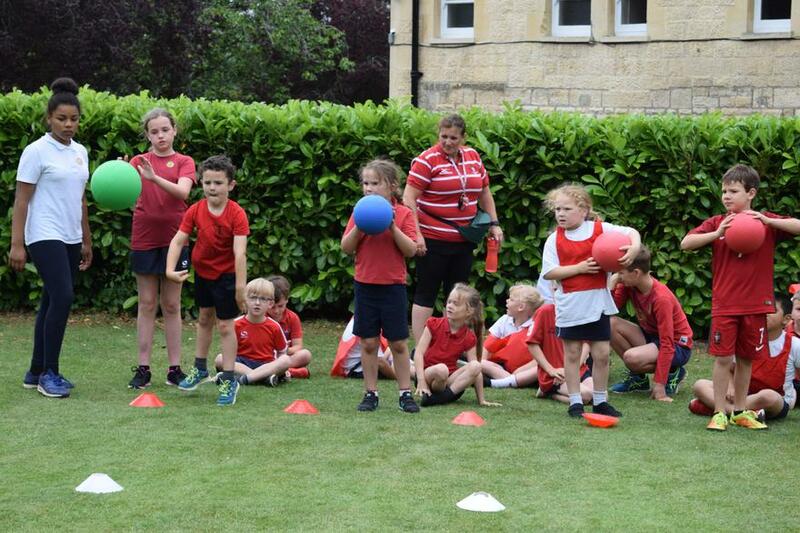 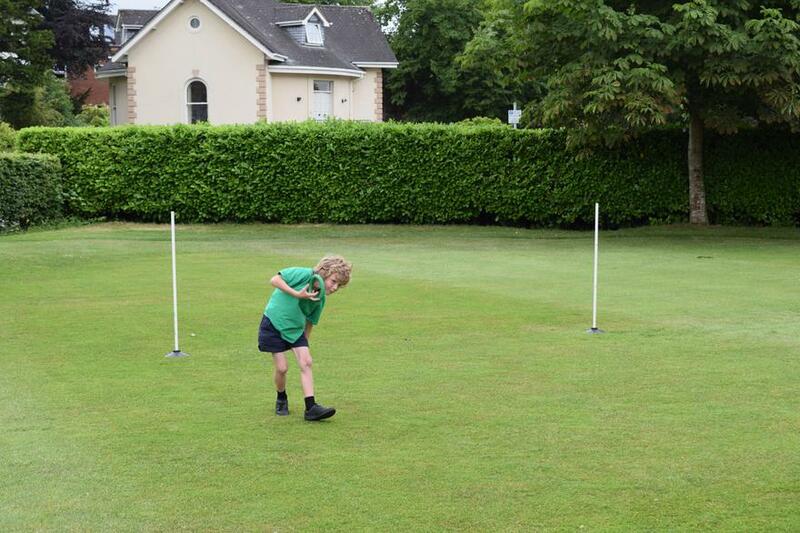 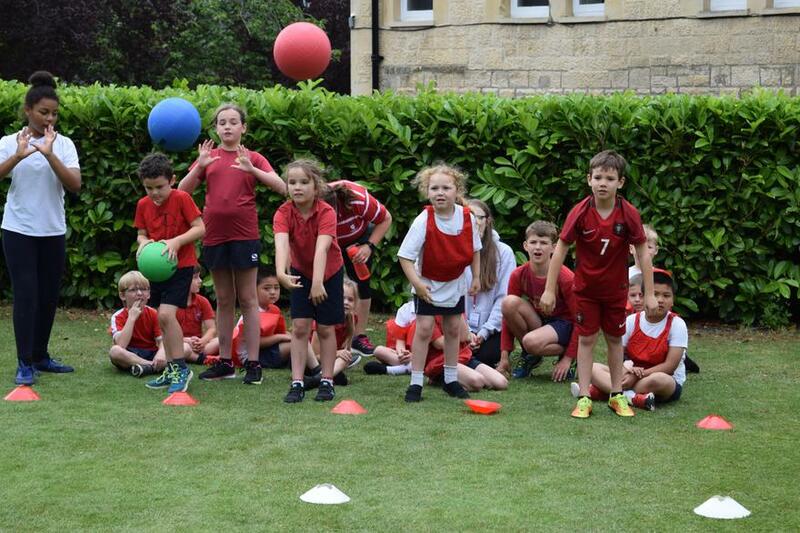 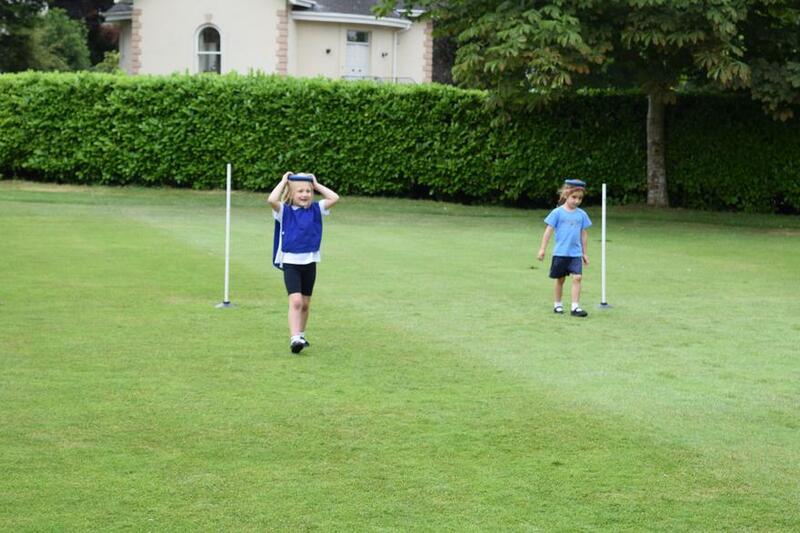 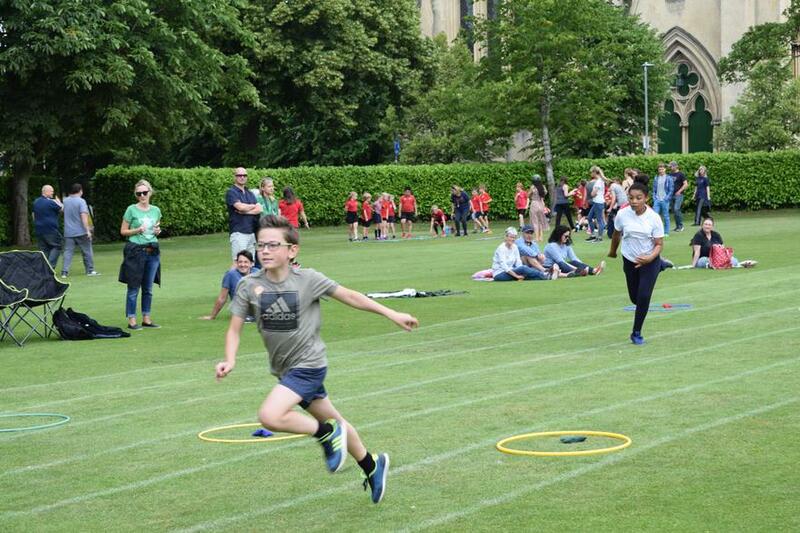 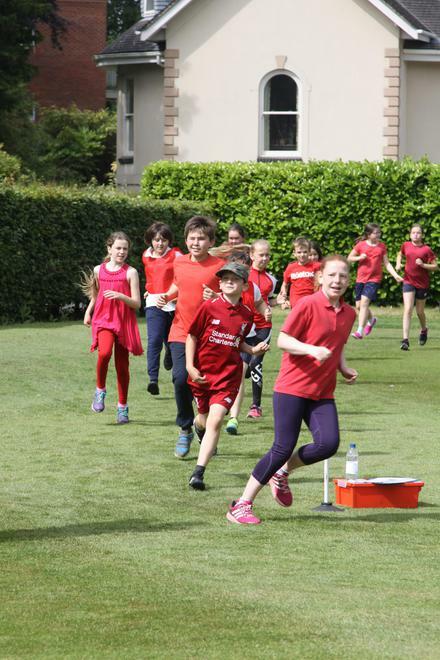 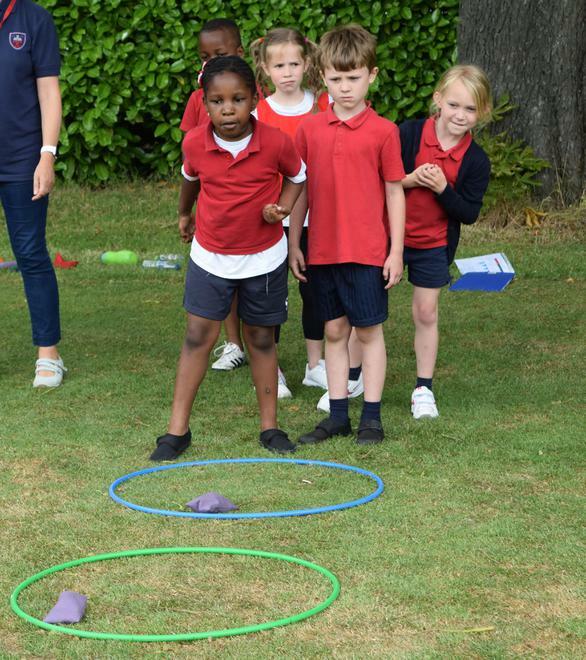 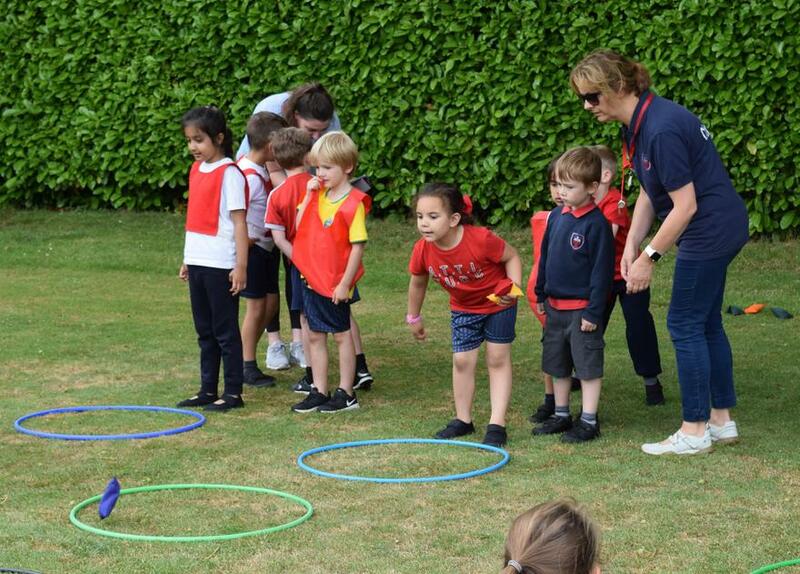 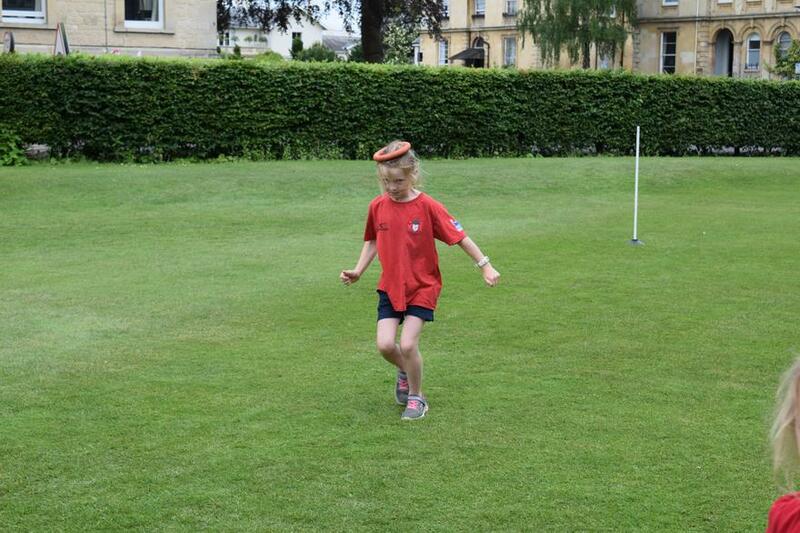 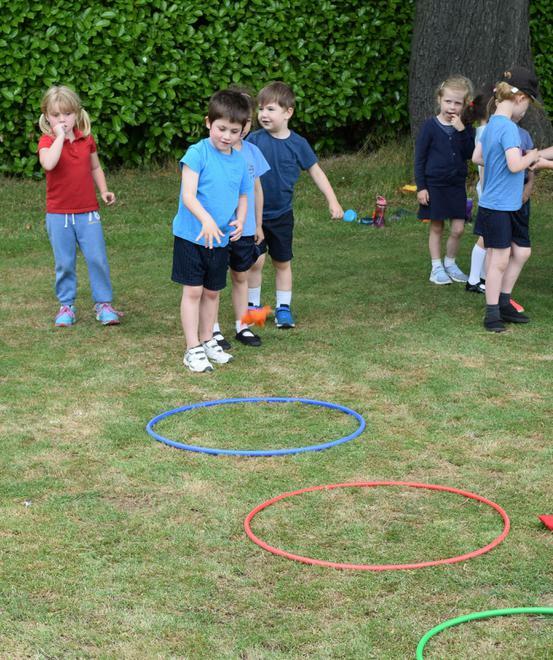 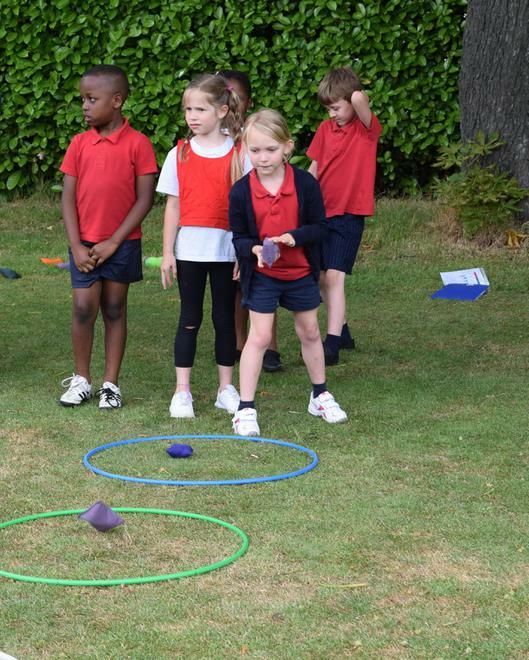 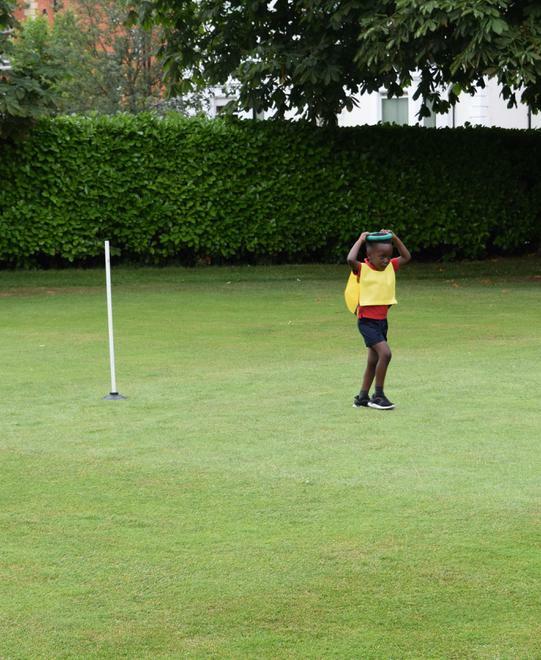 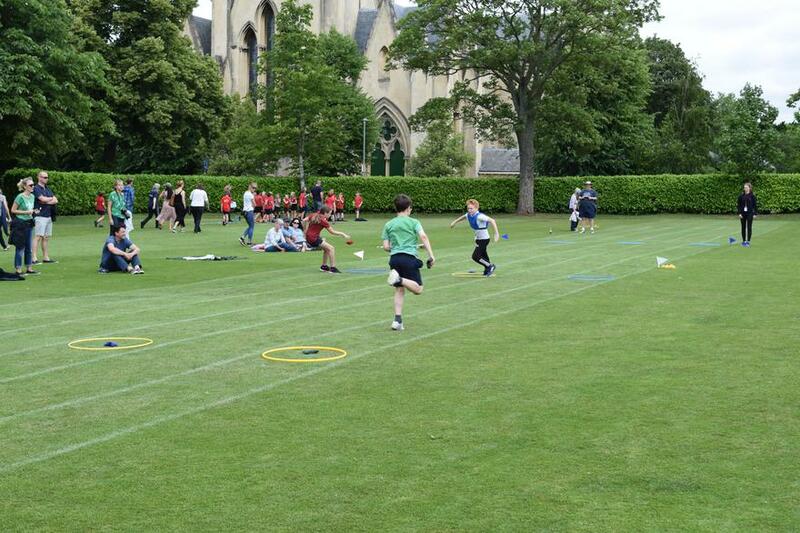 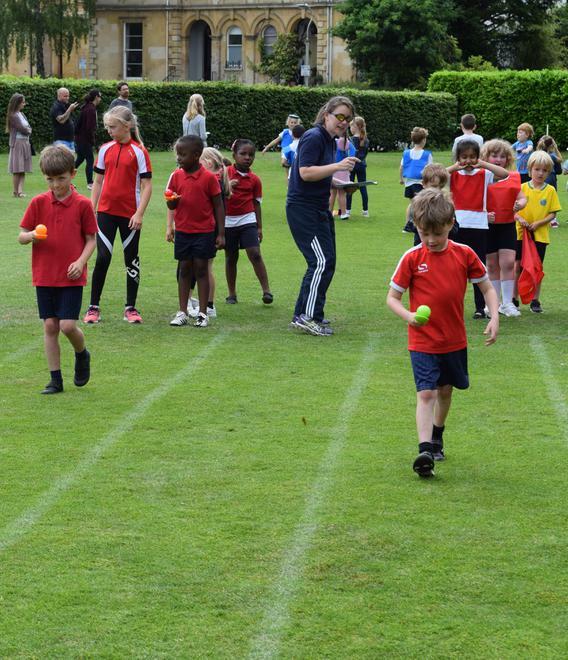 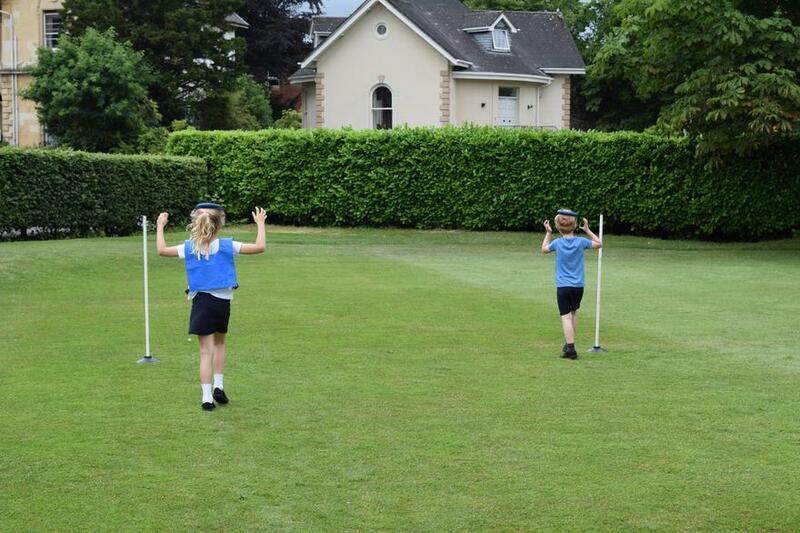 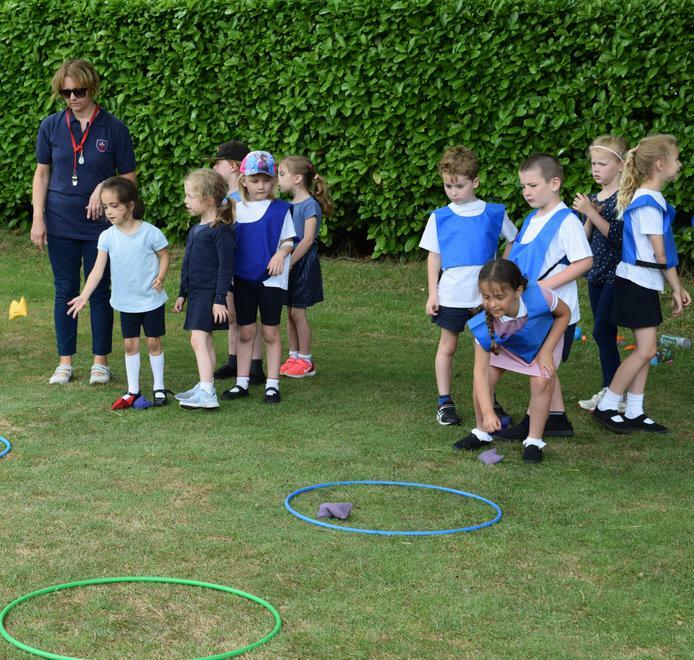 The children took part in a range of activities from chest throw to quoit relay and egg & spoon and the competition finished with individual sprints. 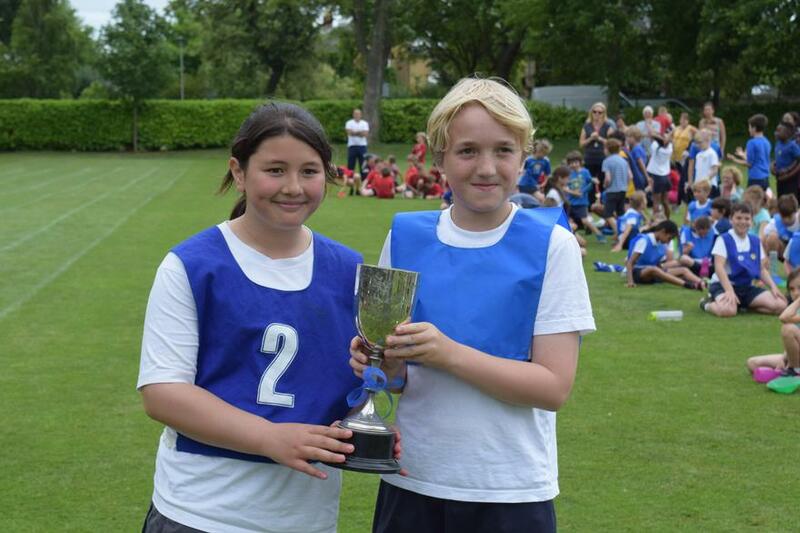 After the points were totalled, the winning House was once again Berkeley! 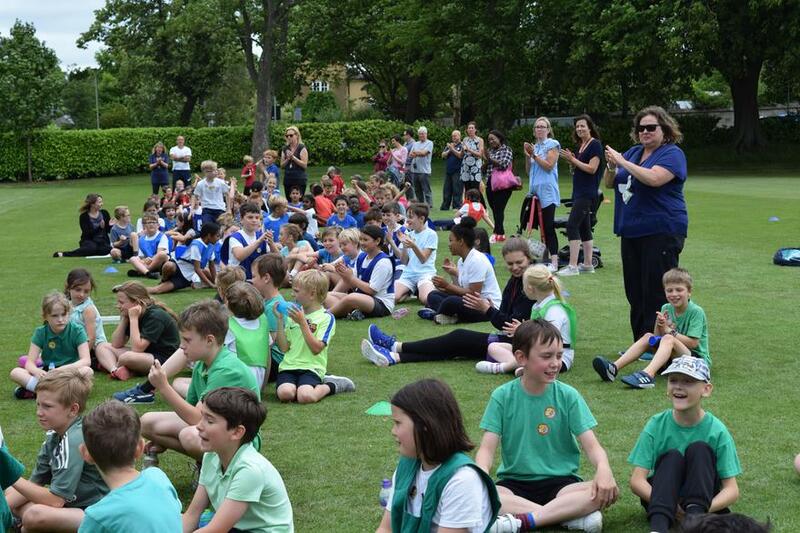 Well done to all of the children for taking part in great sporting spirit and thank you to the staff and parents for your fantastic support. 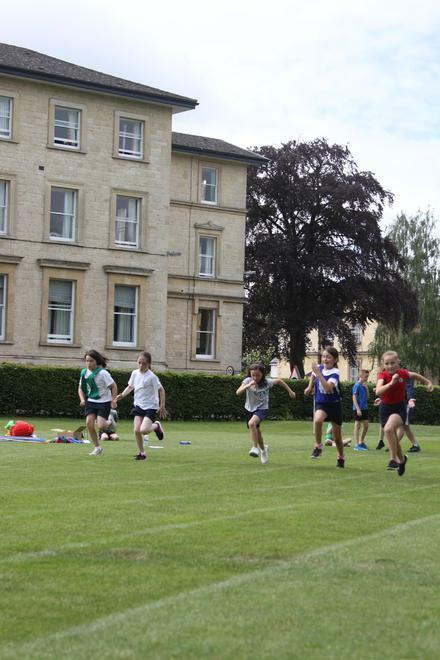 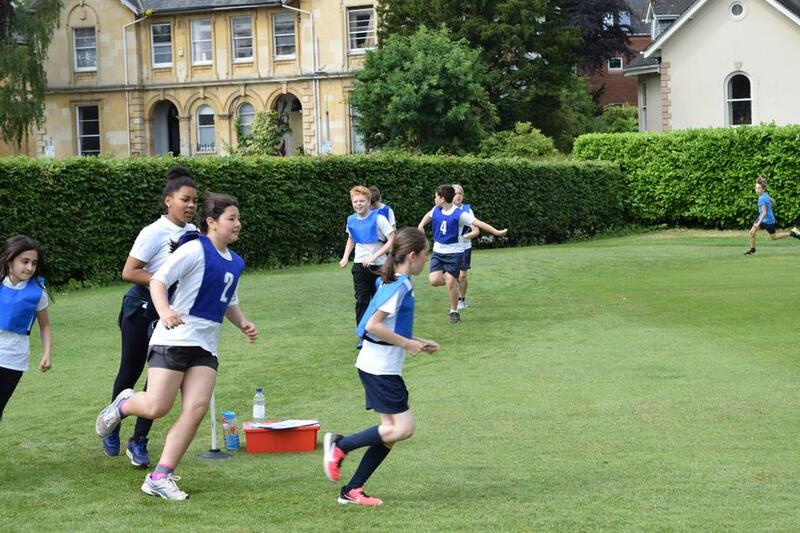 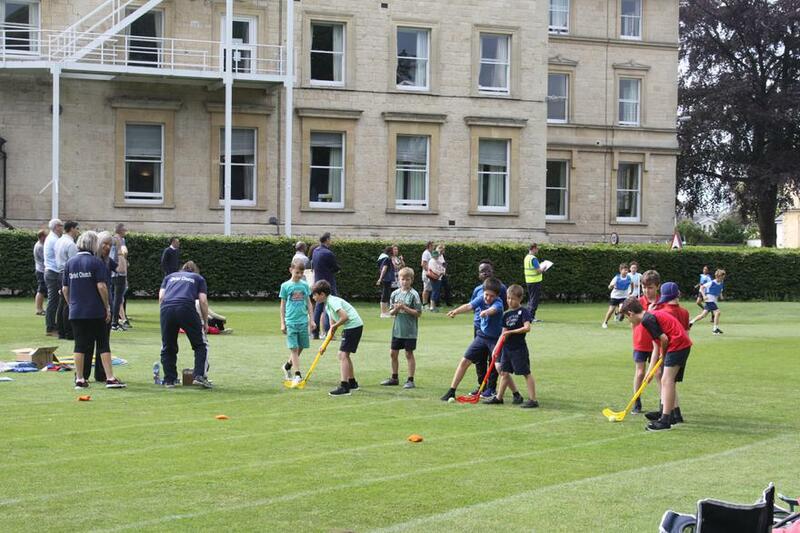 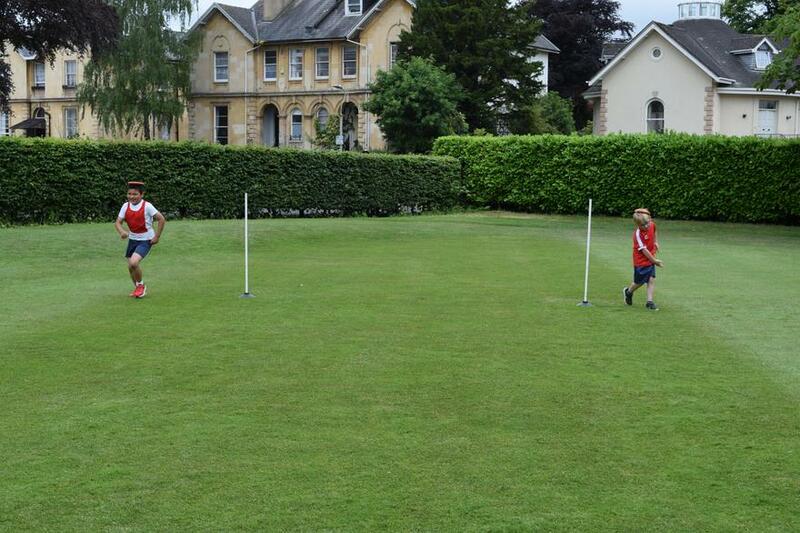 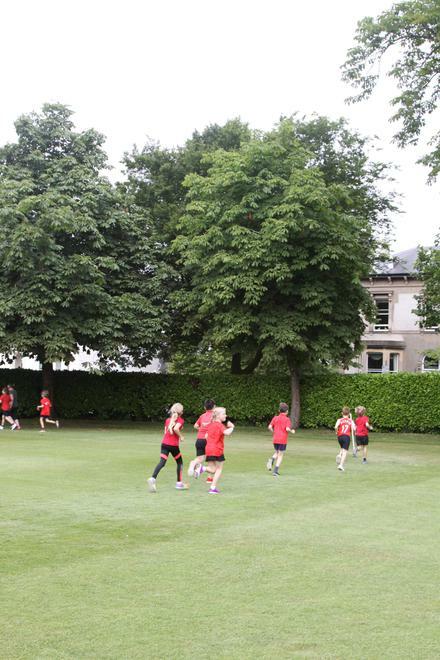 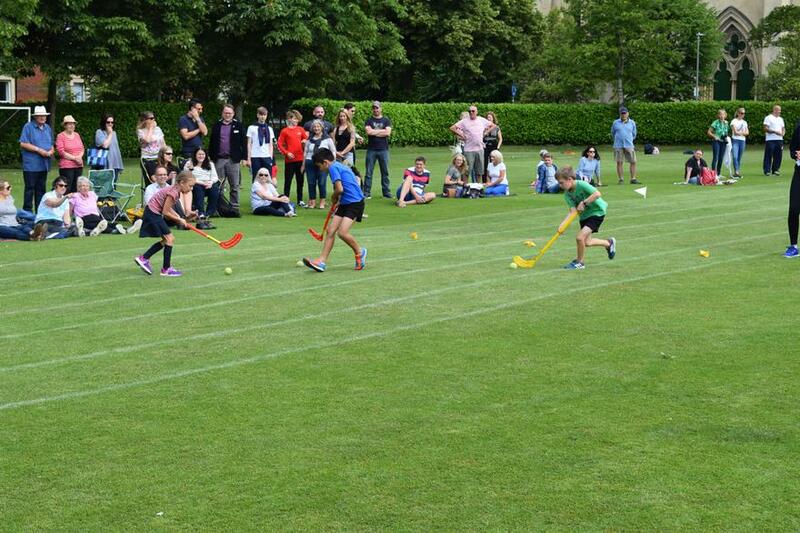 We must also say a massive thank you to Cheltenham Ladies' College for allowing us to use their wonderful facilities.